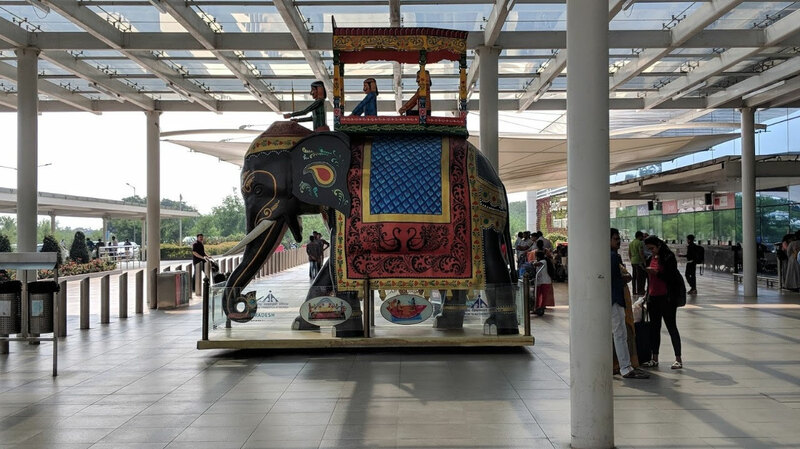 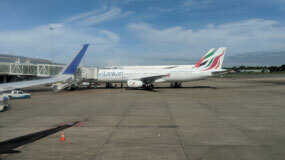 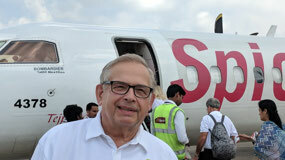 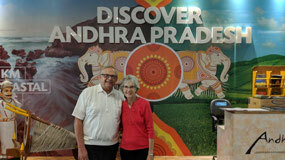 We left our hotel in Colombo at 5:45 a.m. Sunday morning and flew to India! 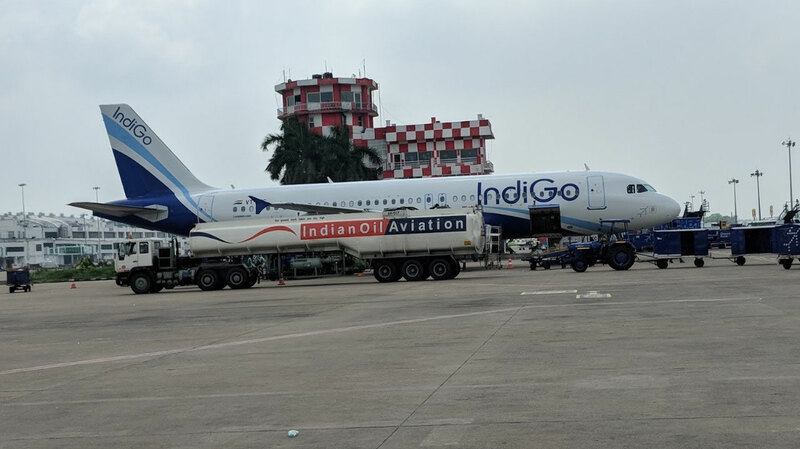 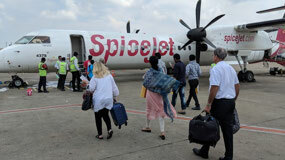 The first leg of our flight on IndiGo Airlines was to Chennai (formerly Madras). 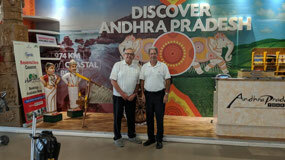 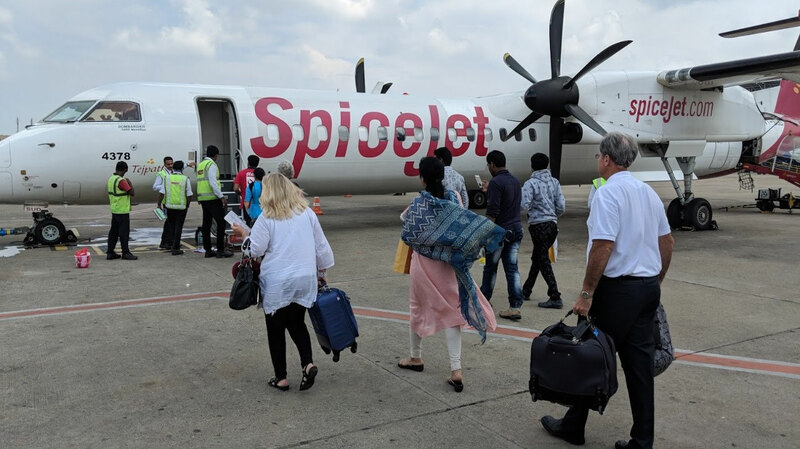 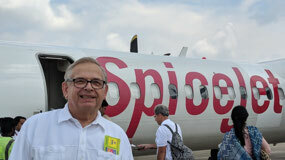 We changed planes here and then flew on SpiceJet Airlines to Vijayawada. 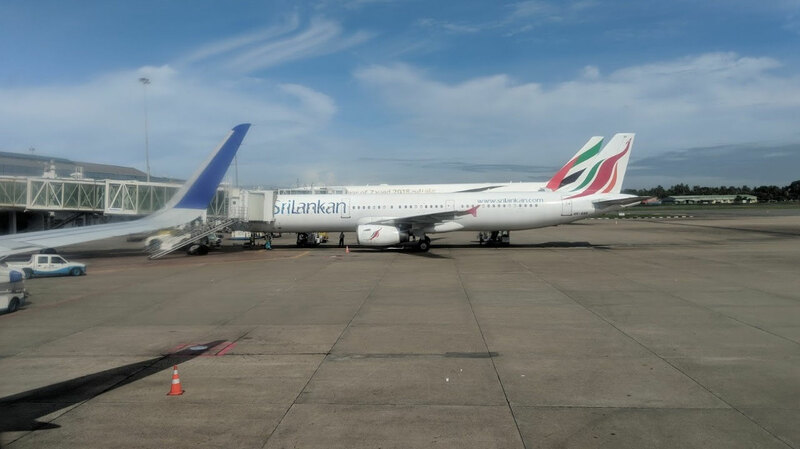 We had to go through immigration and customs, collect and then recheck our luggage at the domestic terminal and go through various checkpoints and security. 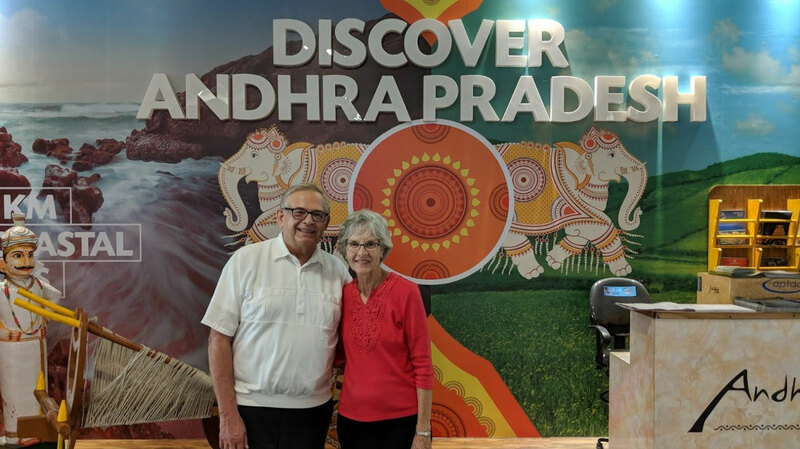 We needed the full two hours we had between flights to make that connection. 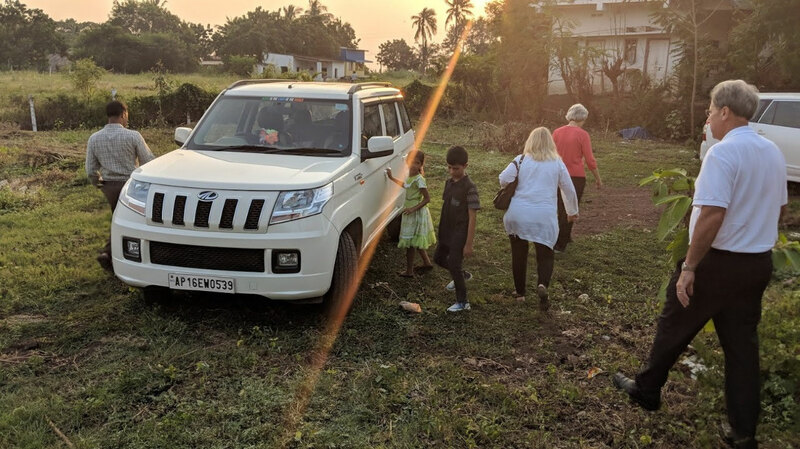 Any hitch would have most likely cost us to miss the connection. For a while Jolinda didn’t have her passport. 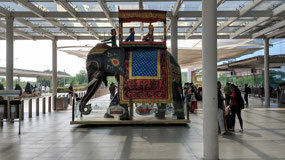 It had gotten caught in the X-ray machine and Bev walked away from her carry-on. 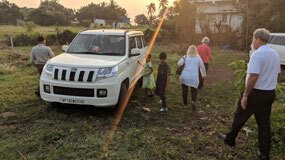 But, all ended well. 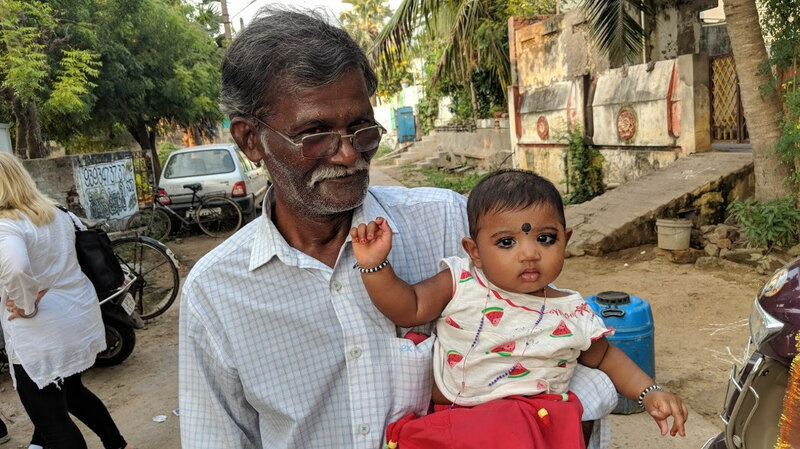 Both were found. 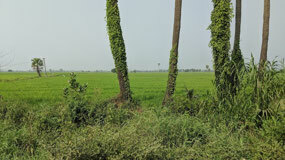 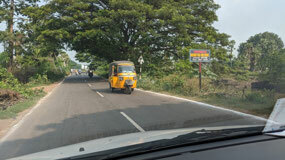 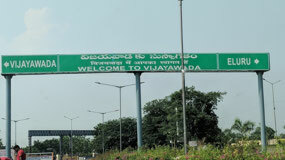 Vijayawada is the capital of Andhra Pradesh, a state bordering India’s southeastern coast. Vijayawada is a beautiful city located on the banks of the Krishna River. 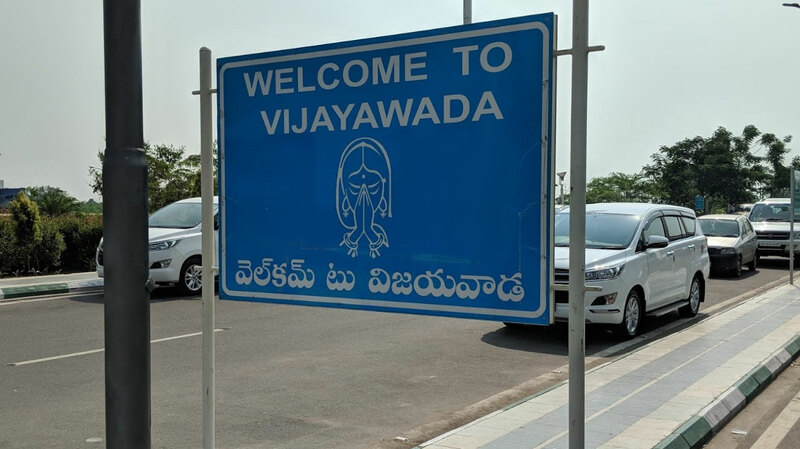 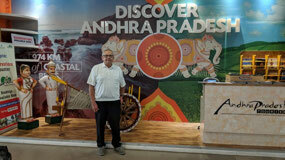 It is one of the principle exchanging and business centers of the state and is called the Business Capital of A.P. 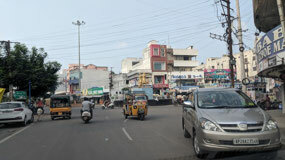 According to the 2011 list, the city had a population of 1,048,240. 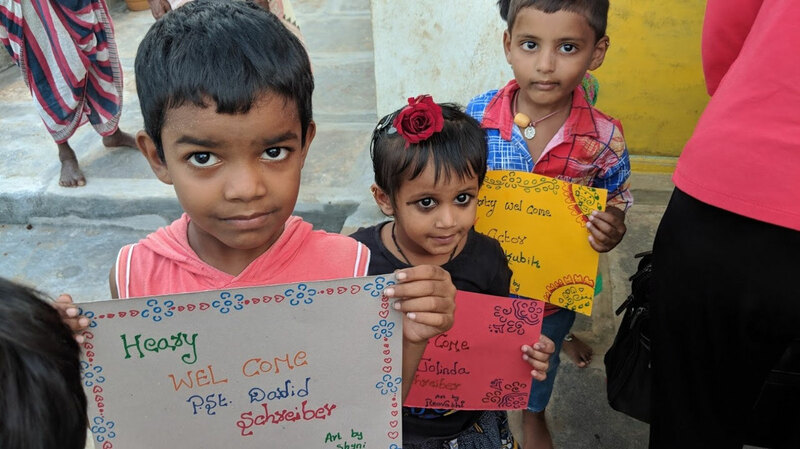 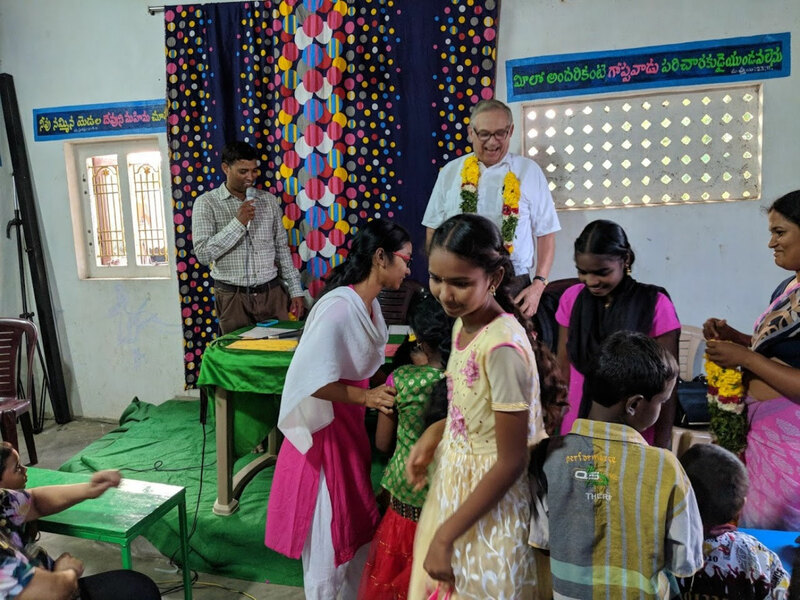 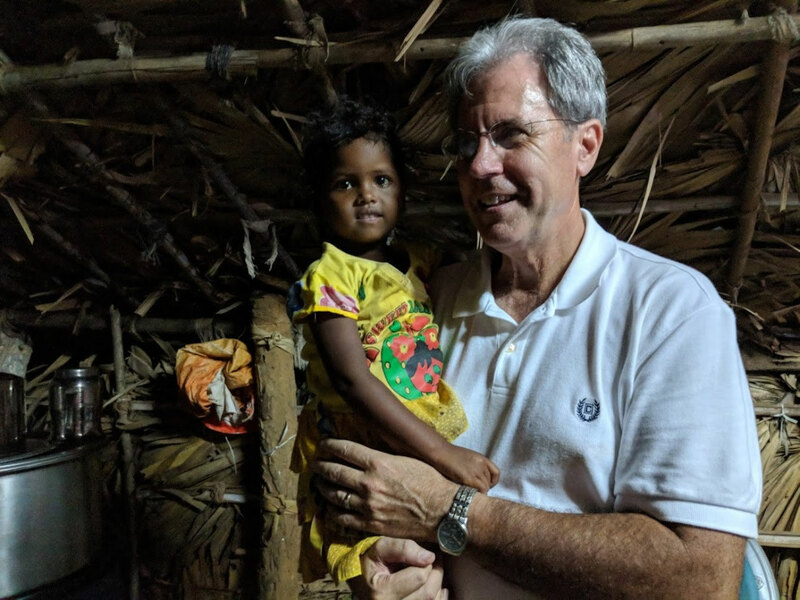 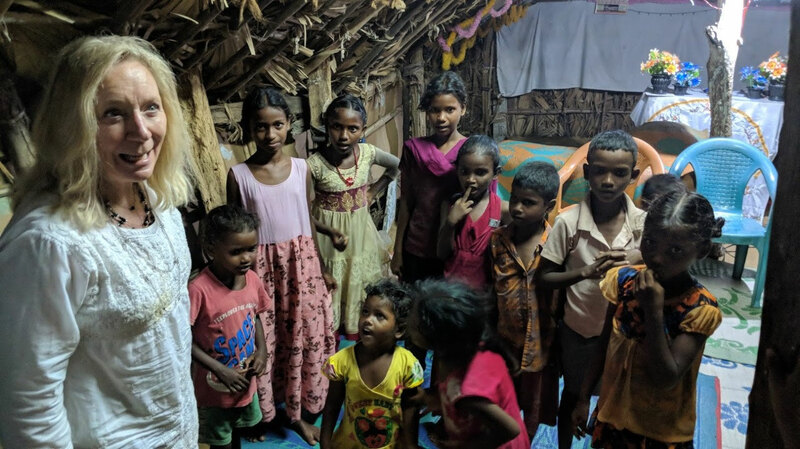 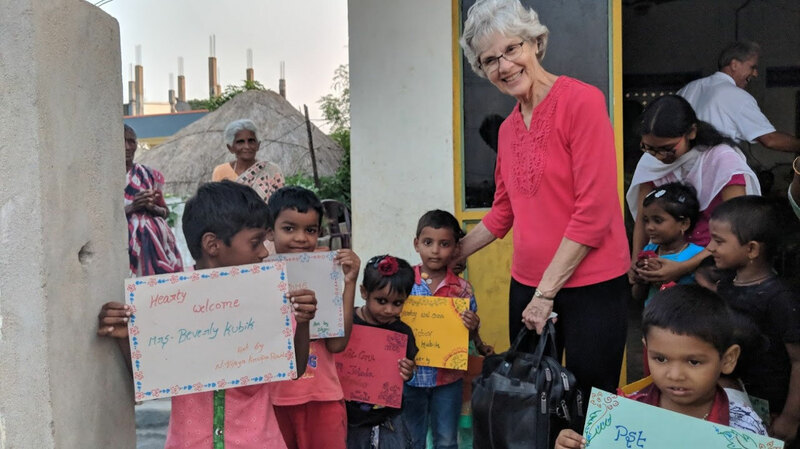 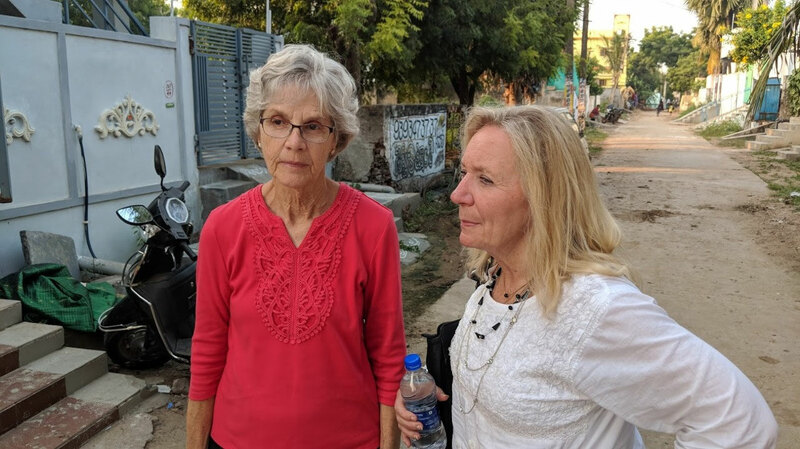 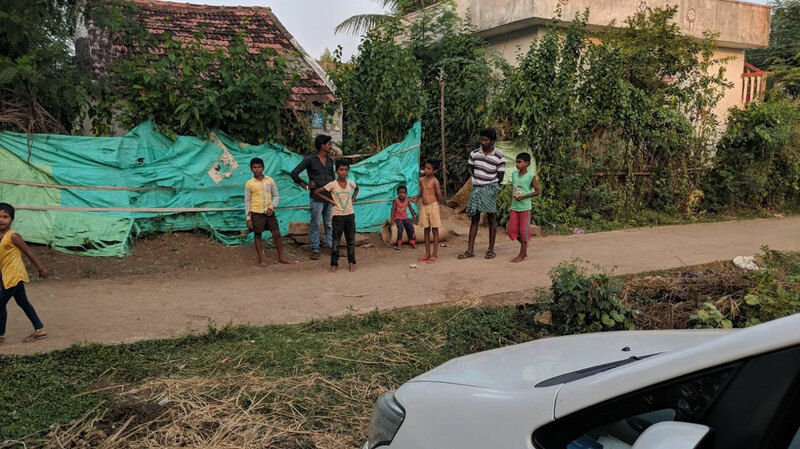 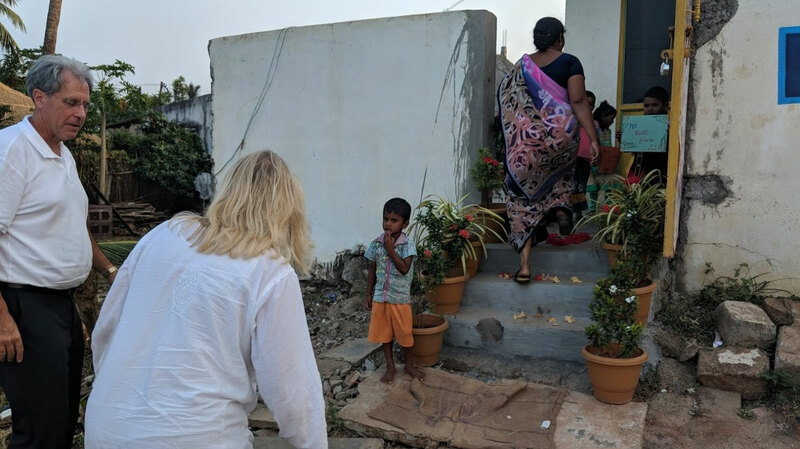 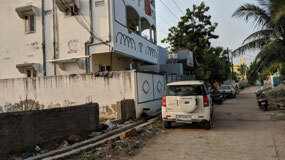 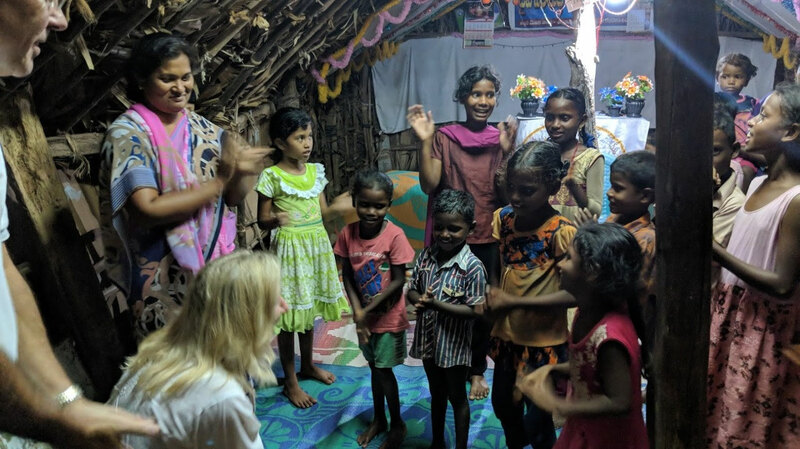 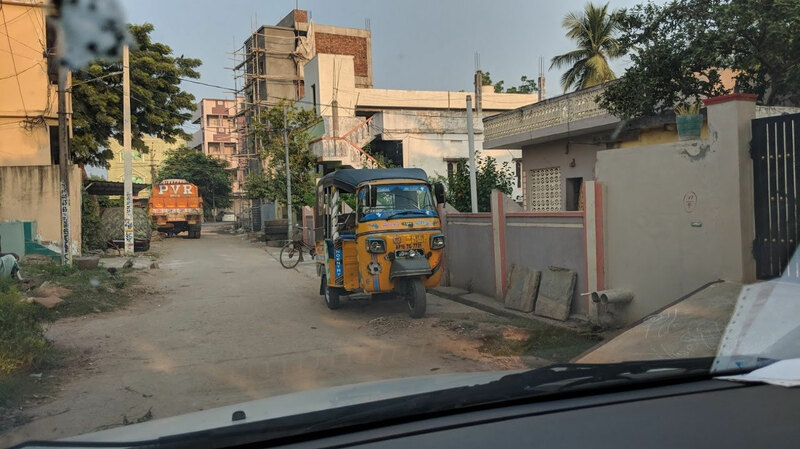 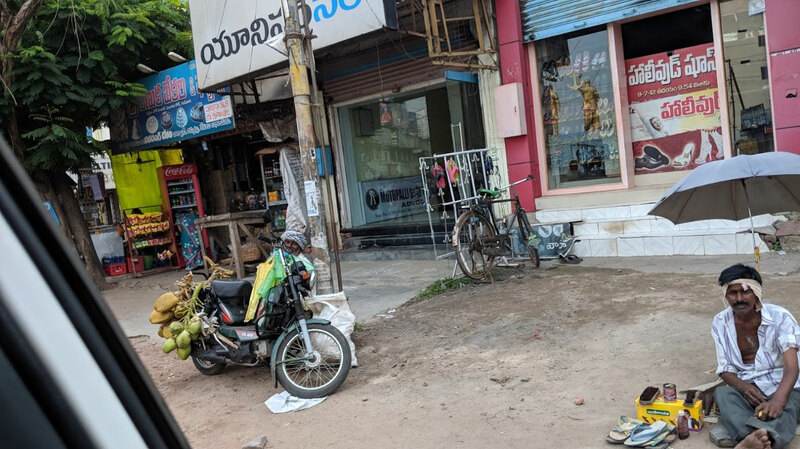 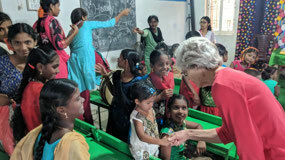 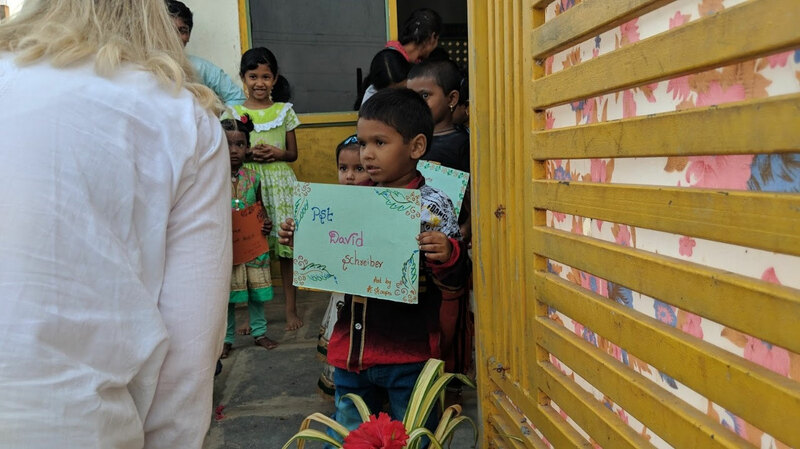 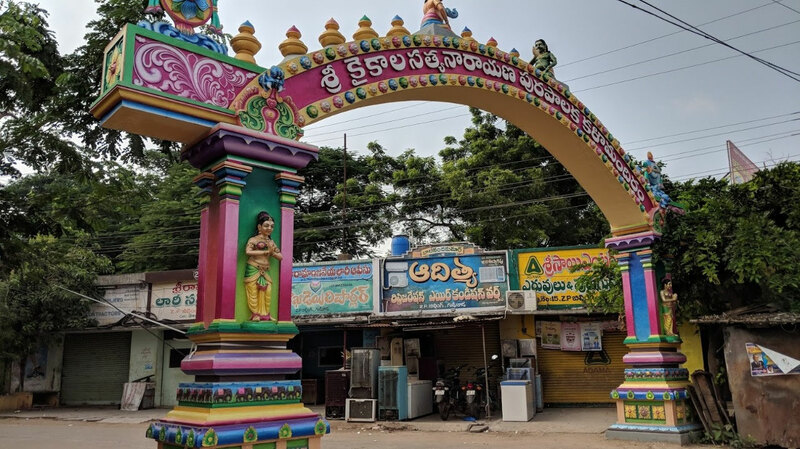 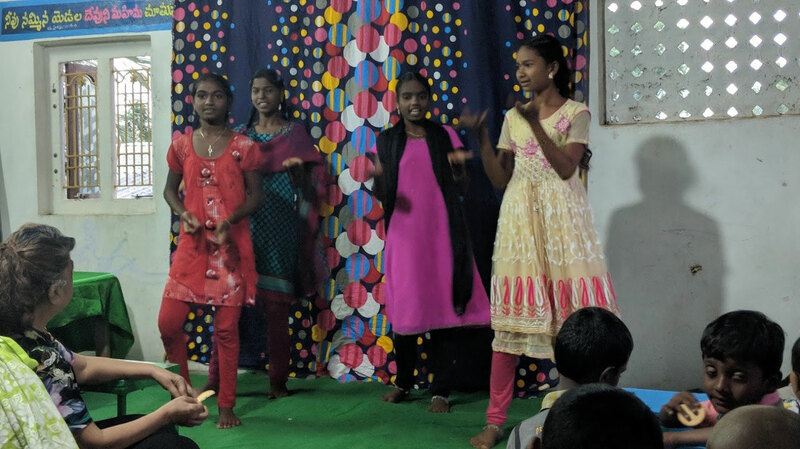 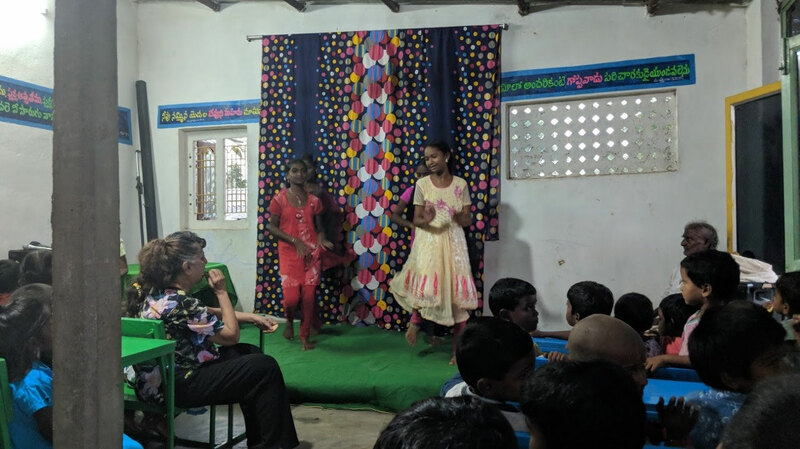 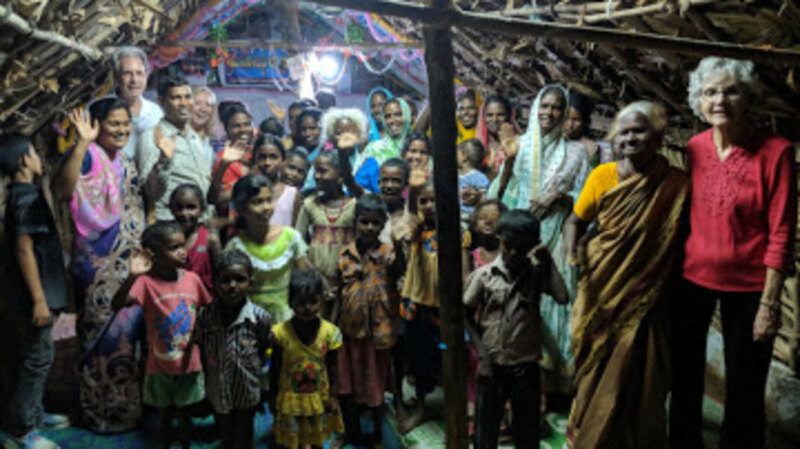 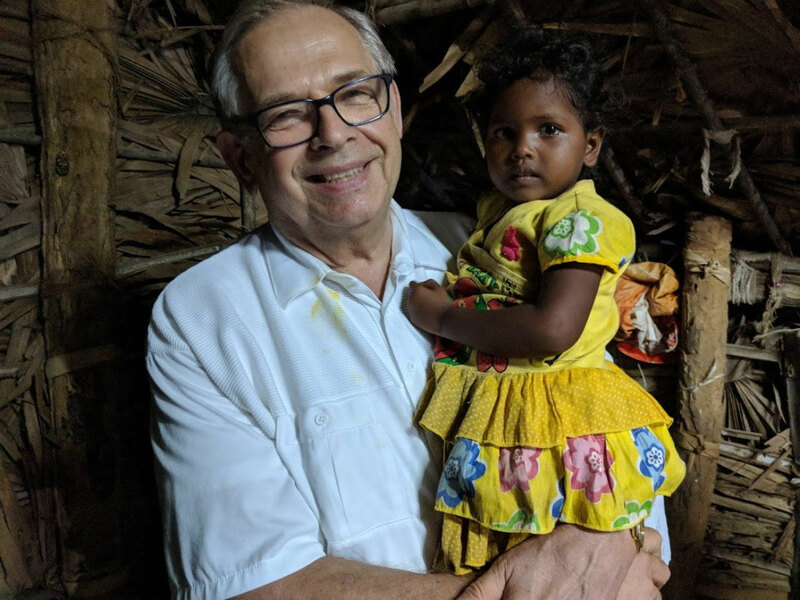 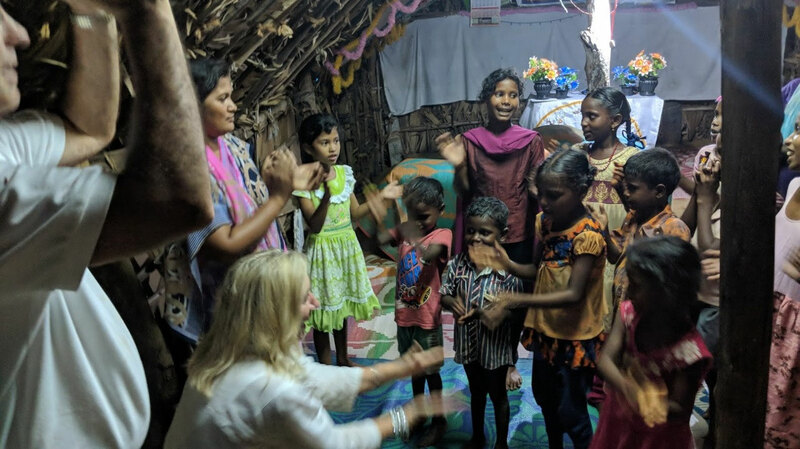 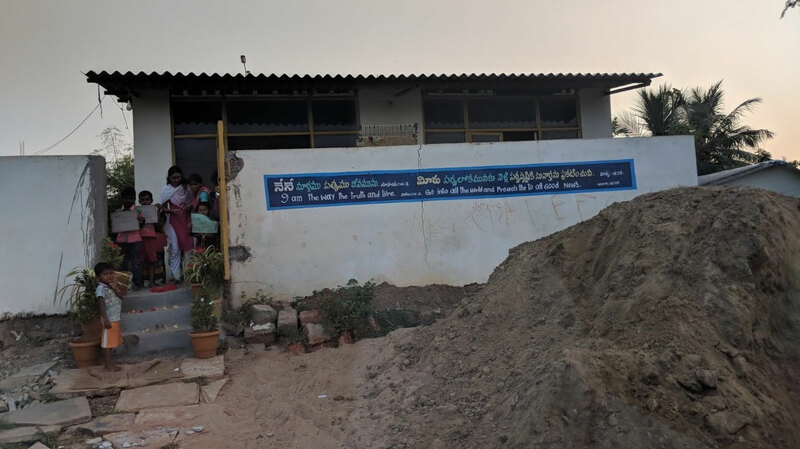 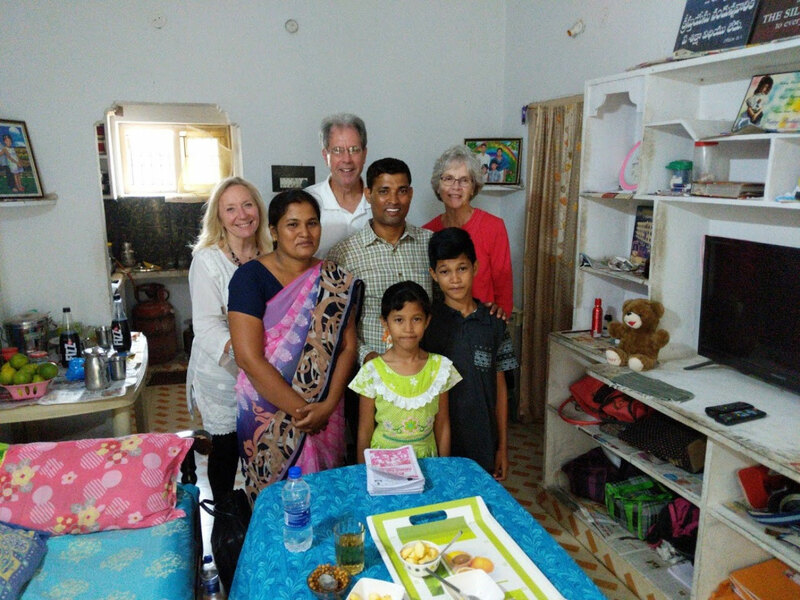 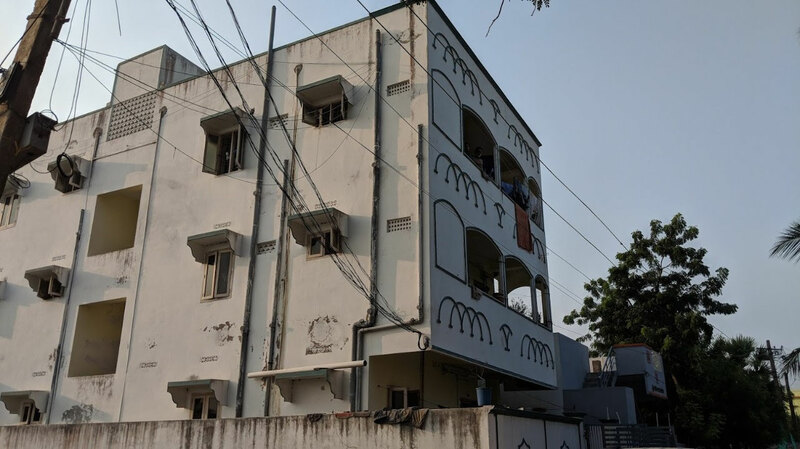 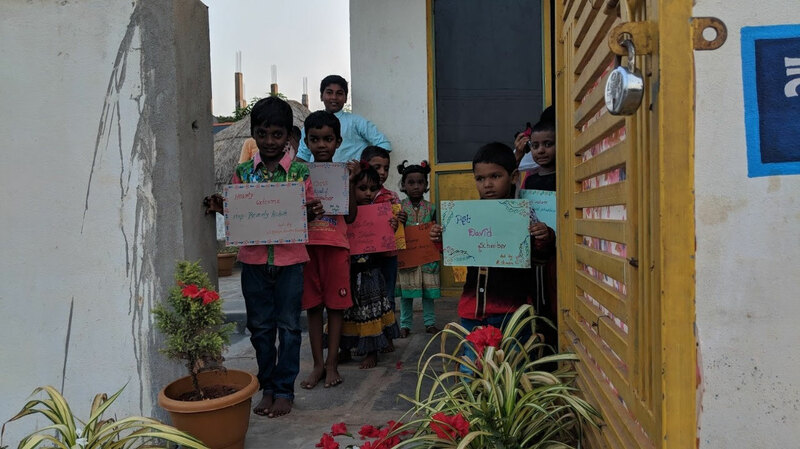 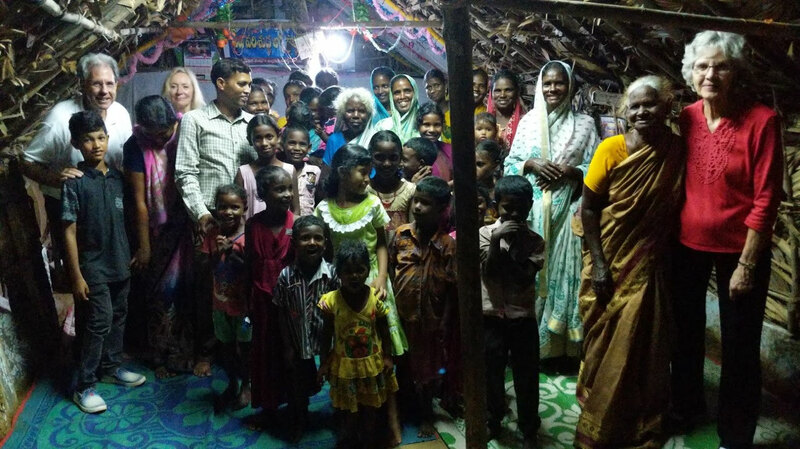 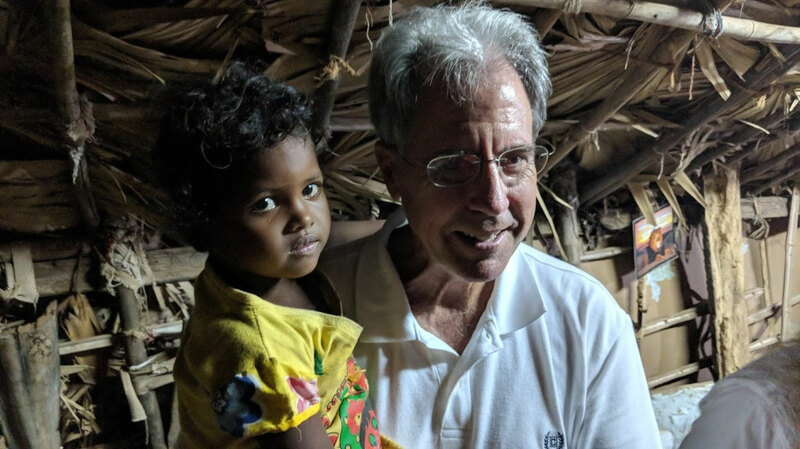 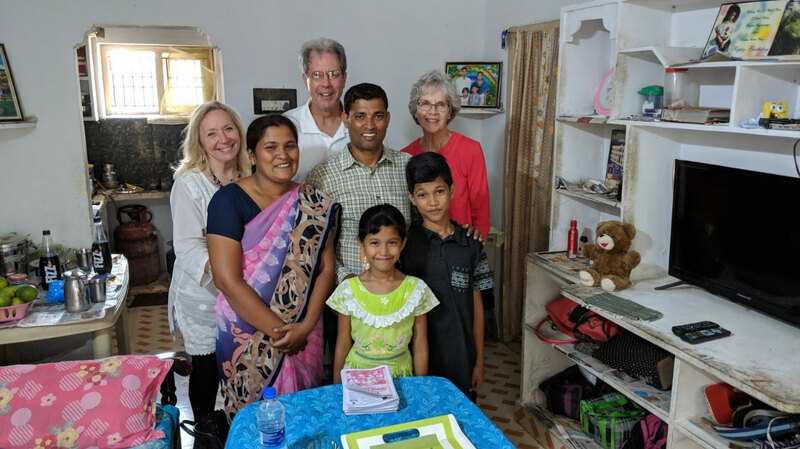 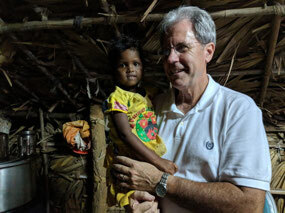 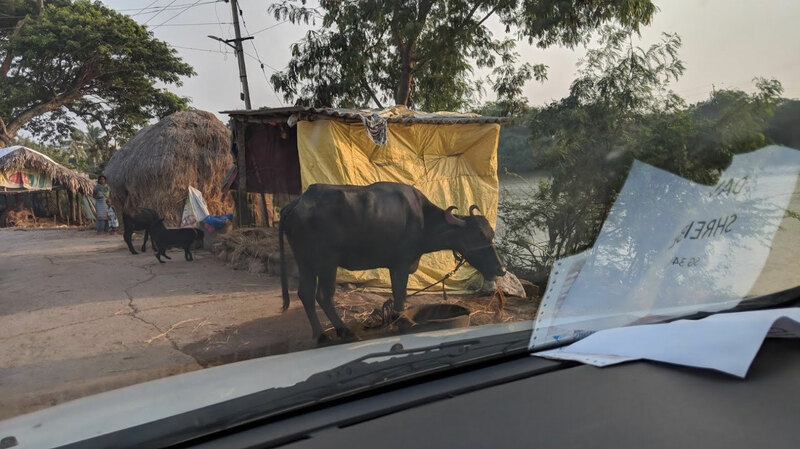 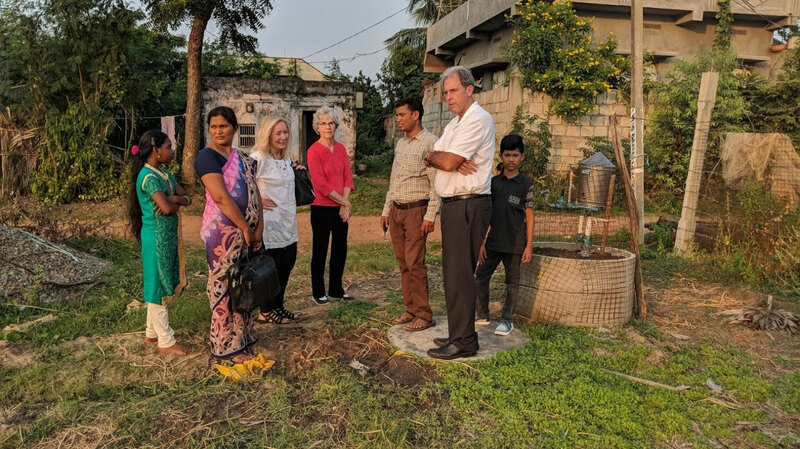 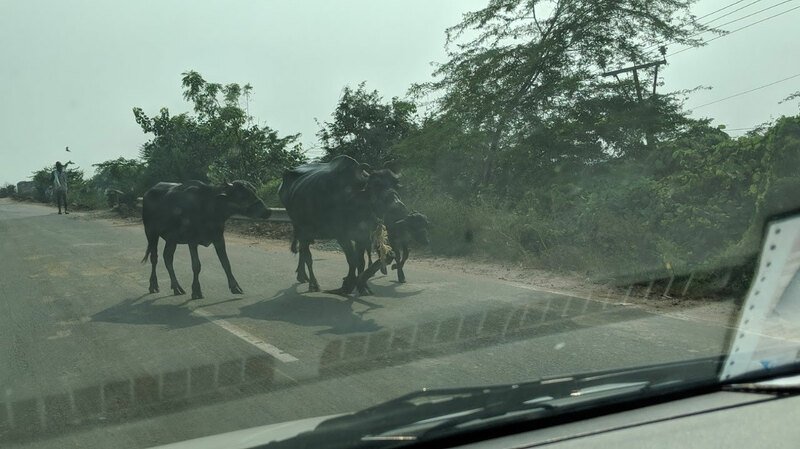 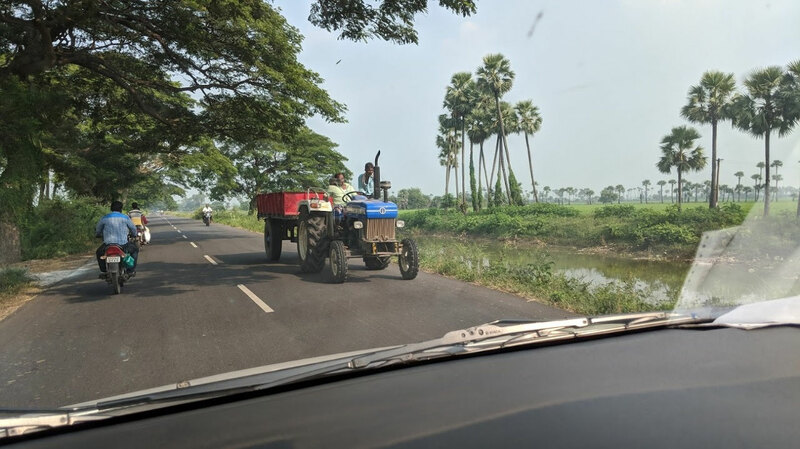 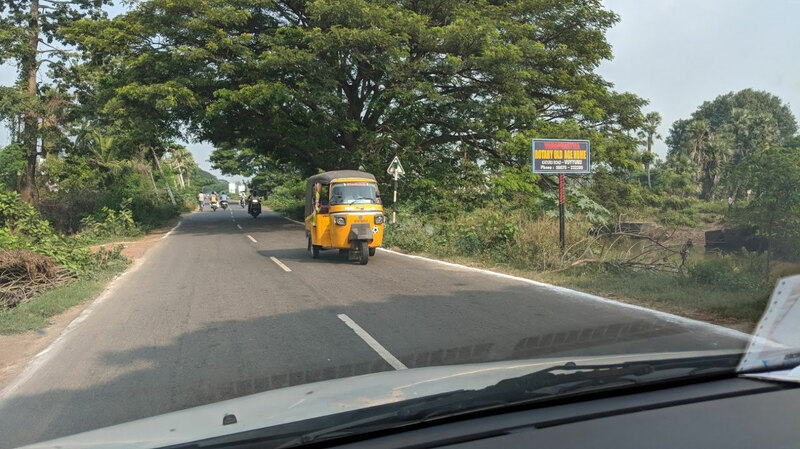 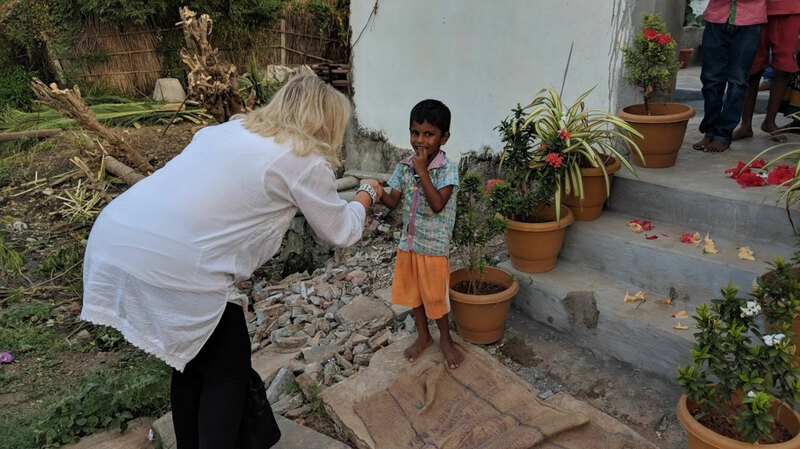 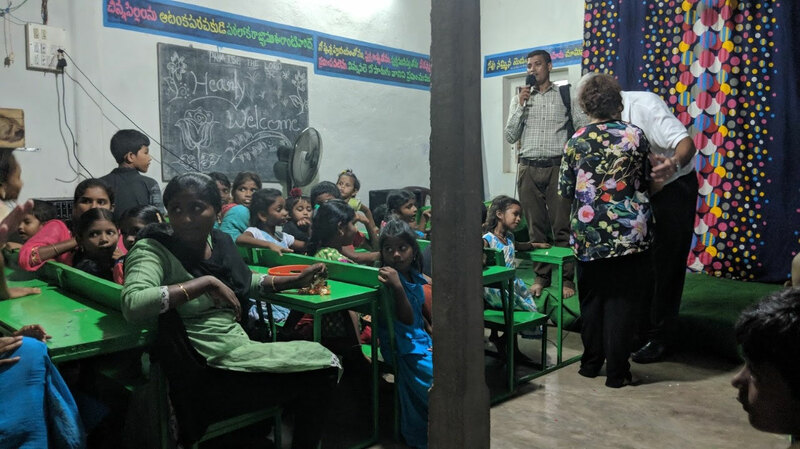 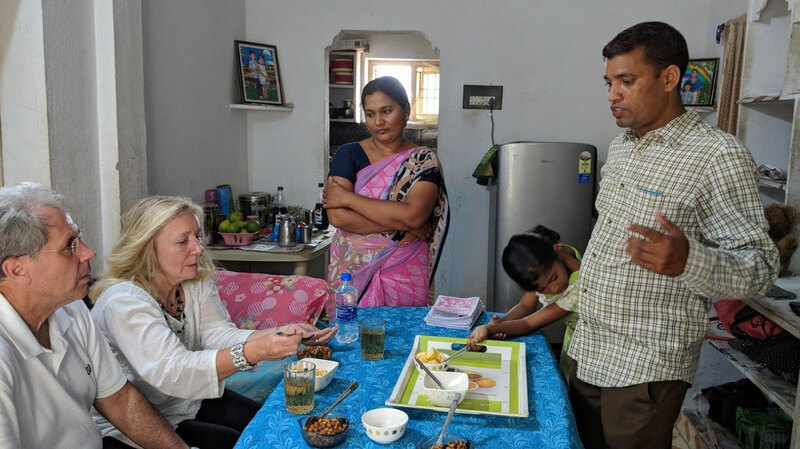 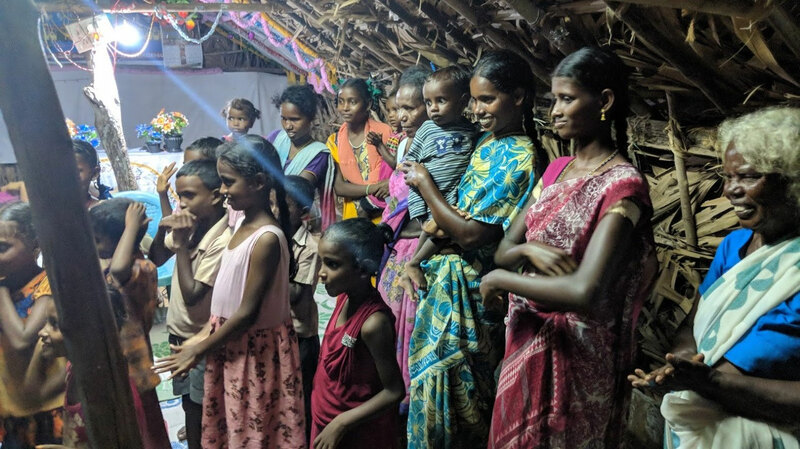 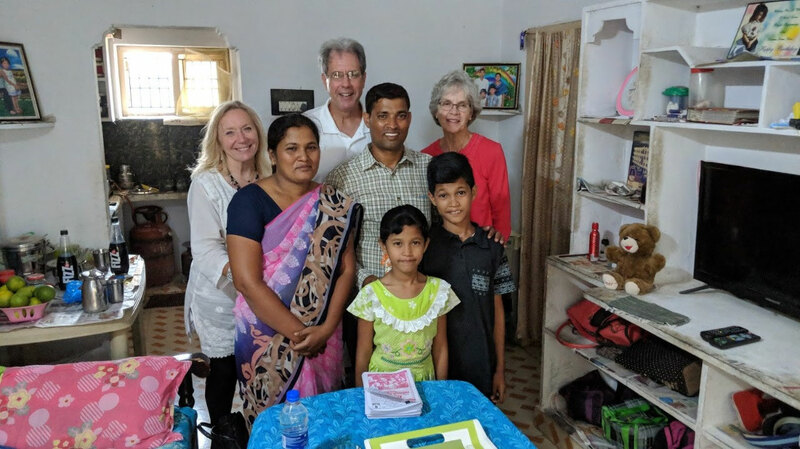 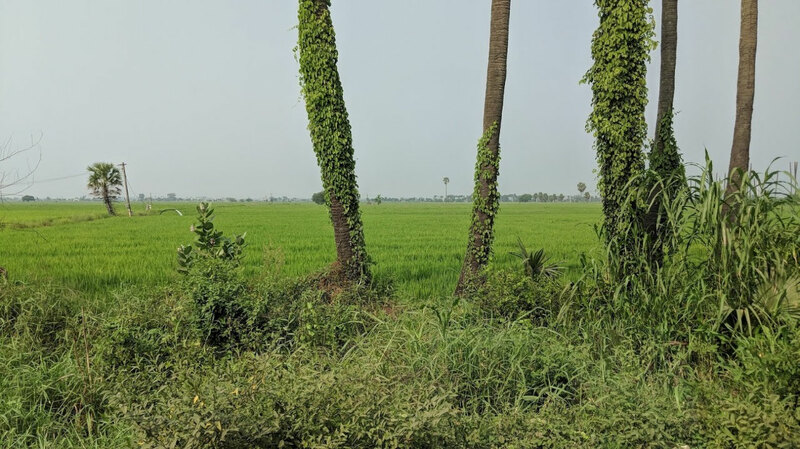 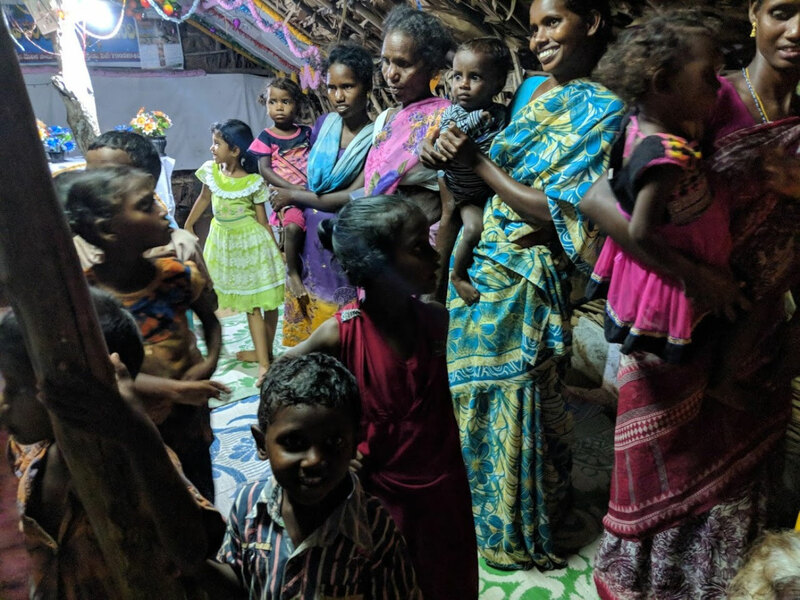 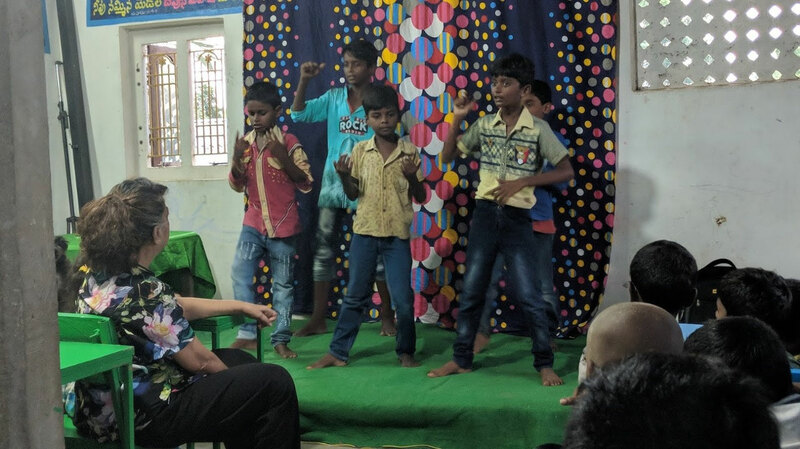 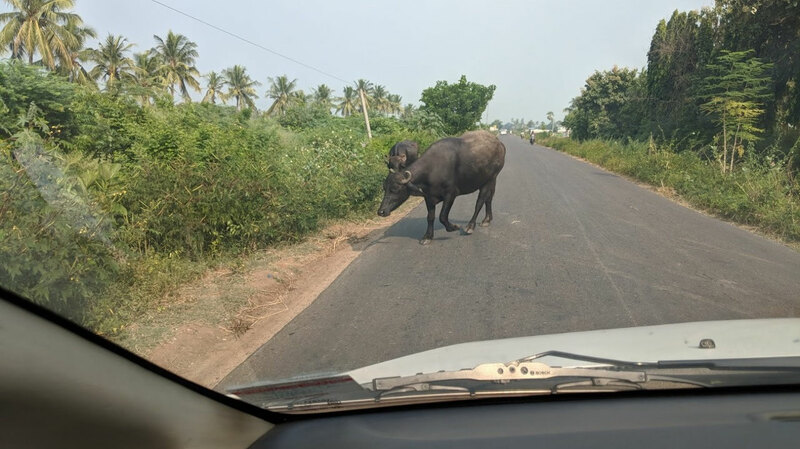 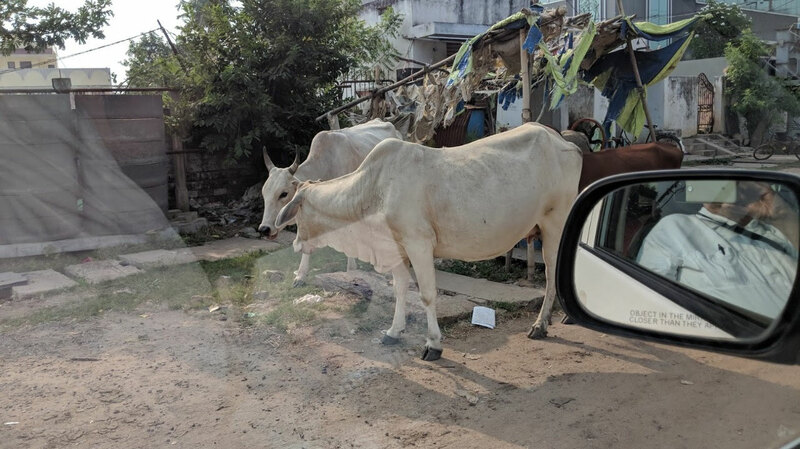 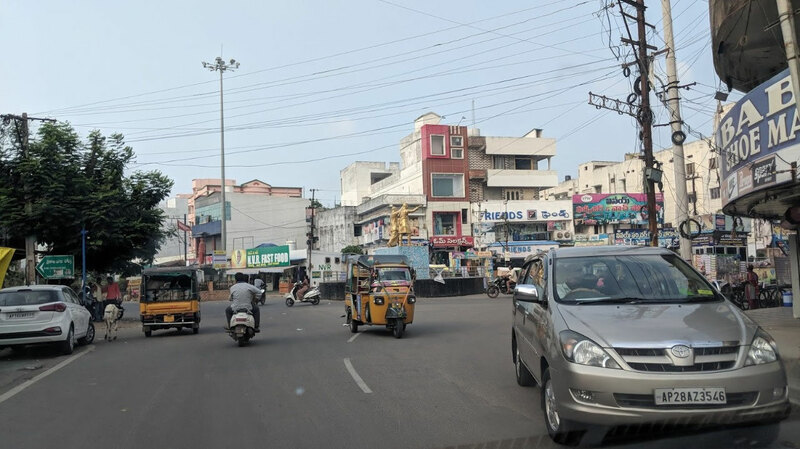 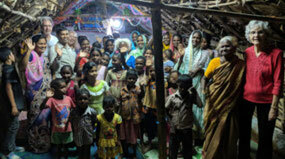 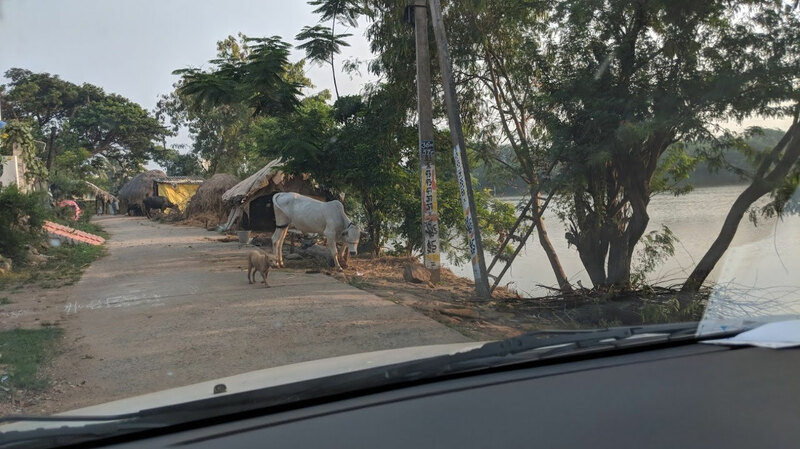 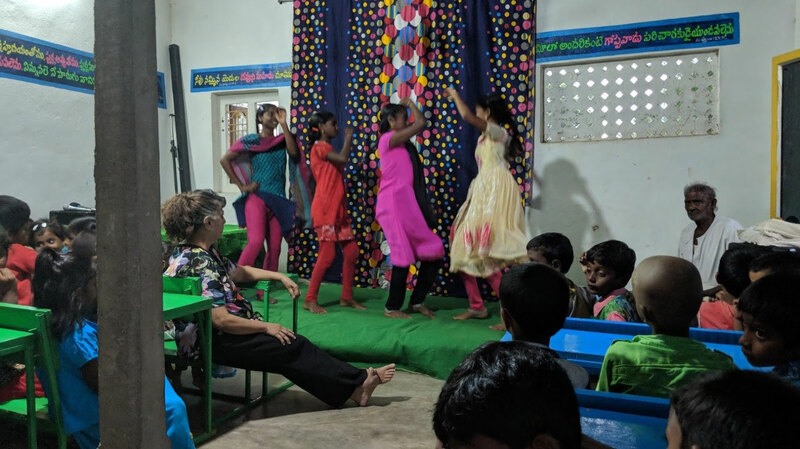 Upon arrival we were met by our driver Prasad who took us out to the home of Joseph Usala who is a Sabbath-keeping minister in Gudivada—about an hour’s drive from the airport—and about 50 km from the Gulf of Bengal. 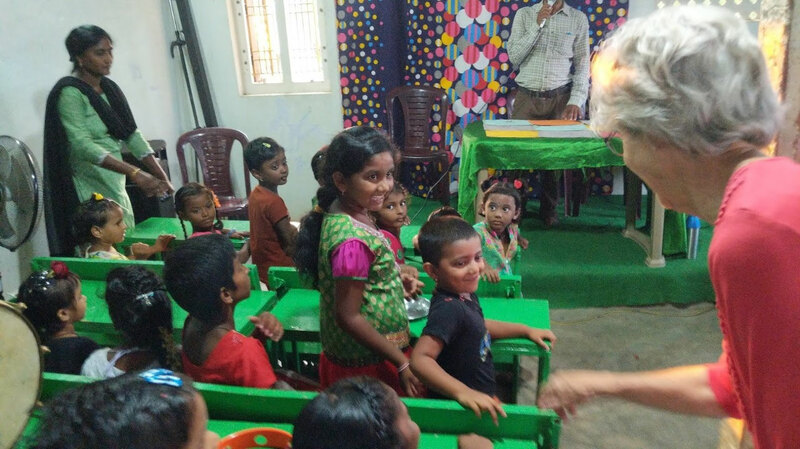 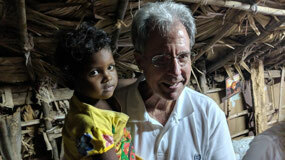 Joseph runs a “Care Center" for children who are severely neglected. 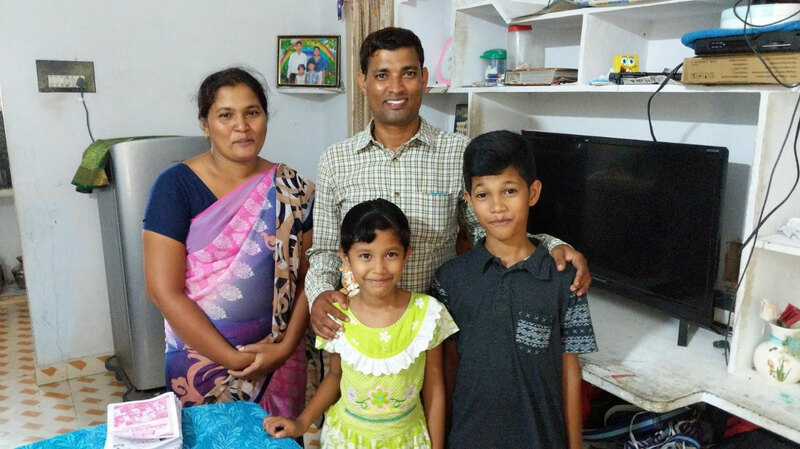 Joseph is 39 years old and his wife’s name is Rani. 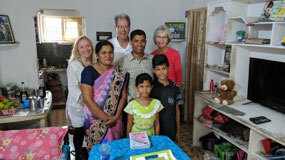 They have two children Blessy and Robin. About eight years ago, he became a Sabbath-keeper. 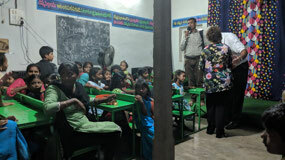 Before that he had first been a school teacher teaching English. 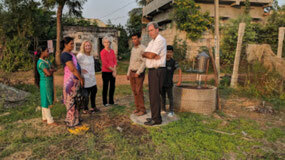 In 2013 he found David and Jolinda Schreiber and has met with them a number of times since. He has been a translator for them on their visits to India. 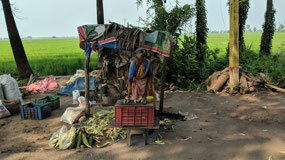 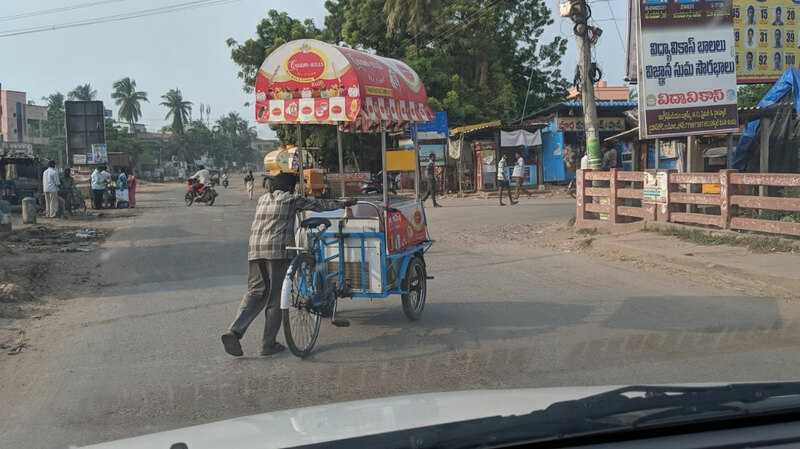 He considers himself a pastor now and travels often by motorbike, although the family recently bought a van. He says that God has changed him from "teacher to preacher" and has been given a mission to help children since 2015. 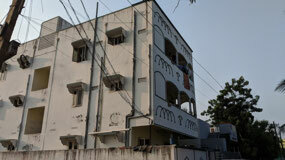 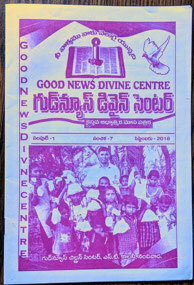 Joseph spoke of his association with Jacob Rao from Hyderabad—Church of God Seventh Day. He has worked with him for almost two years. He had first found him online. Joseph does keep the Passover (he called it “washing feet”), but seemed a bit sketchy about the other Holy Days. 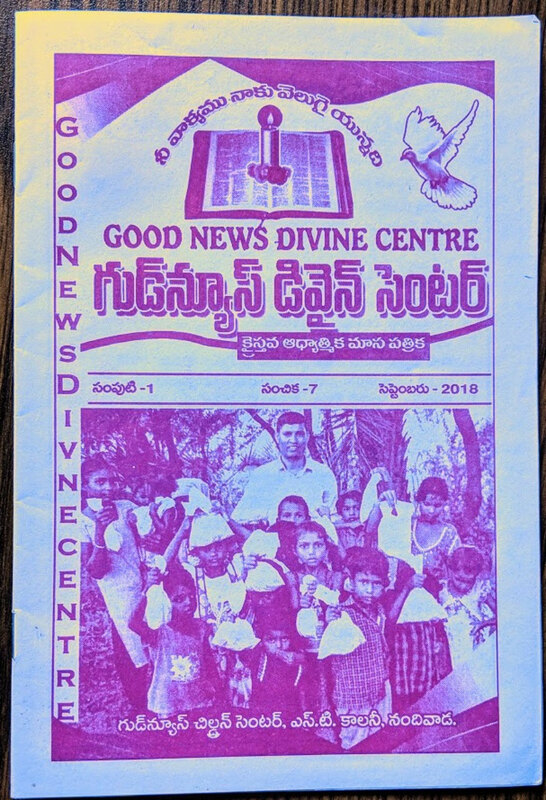 He does have a congregation of about 30. 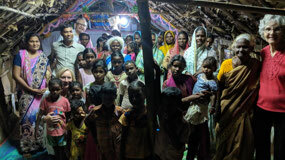 Five are men and the rest women and children. 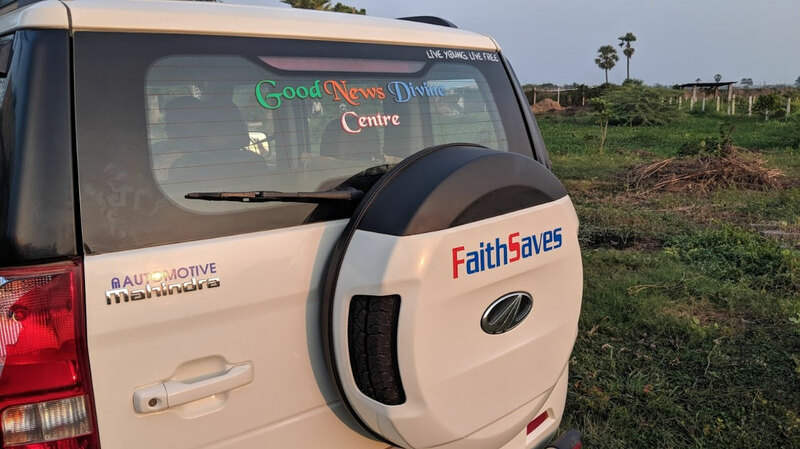 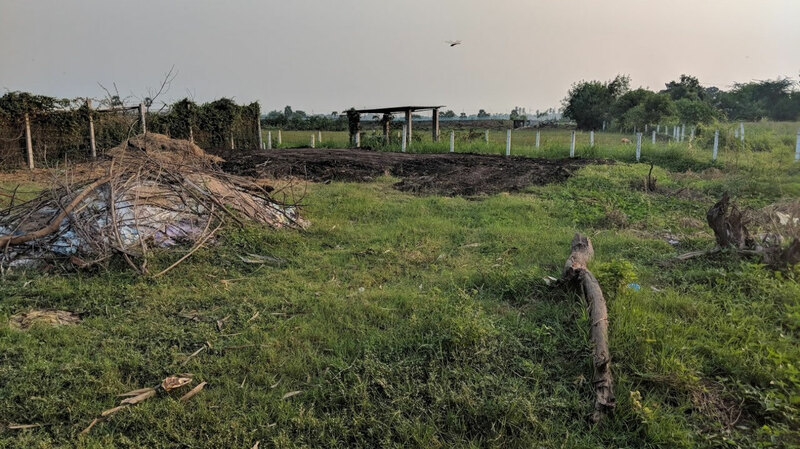 He took us out to a site where he wants to build a church shelter that he wants to call the “Good News Divine Center.” It would not be fully a building; it would be more like a shelter with posts and a roof. 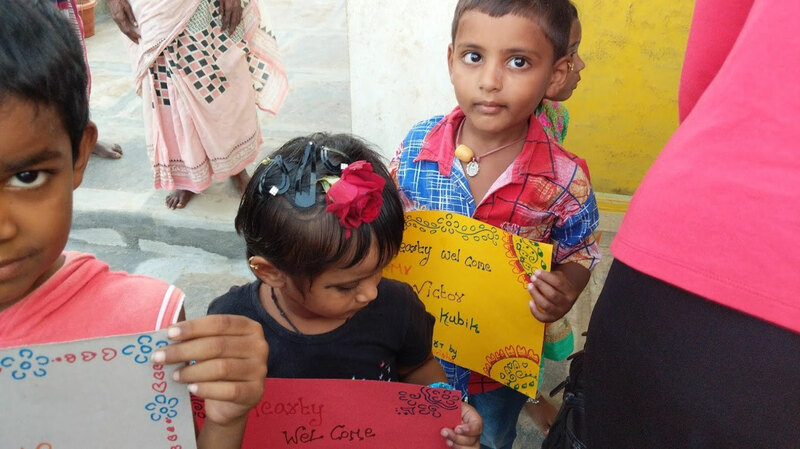 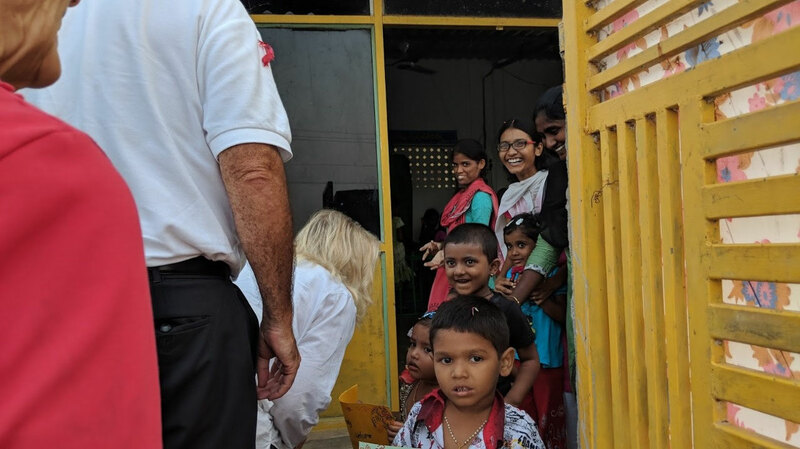 Next we traveled to the “Good News Children’s Care Center.” We were greeted by excited children all lined up holding welcoming signs. We were given a welcome speech and then David and I made some remarks. 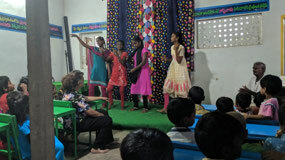 Then the children put on a program of various dances that were very entertaining. 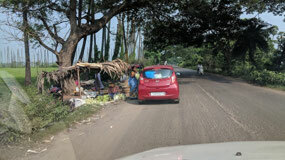 I was able to get some video. 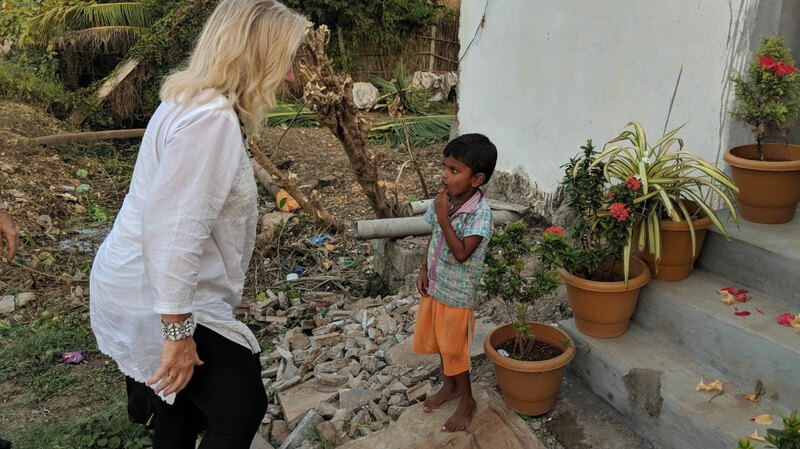 Joseph has a big heart and has a lot of compassion and pity on these neglected, previously uneducated children near his village. 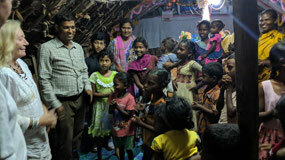 Currently he has 55 children who come daily to the Good News Children’s Care Center. 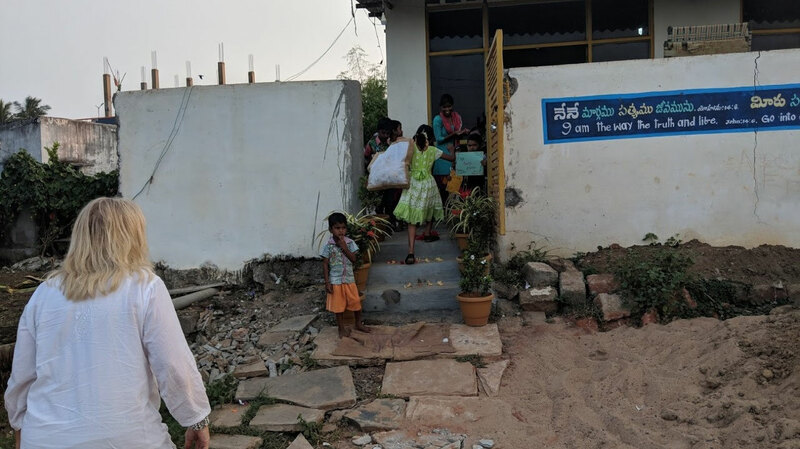 He provides meals for them, assists them to get to school, supplies educational materials for them and then feeds them a meal before they return to their homes each night staying with grandparents or relatives as many don’t have parents. 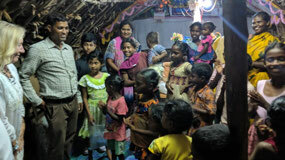 He has received financing for some of the children’s needs from some evangelical groups. The church members in Southern Minnesota, La Crosse, Wisconsin and Cedar Rapids, Iowa have sent clothes to them. 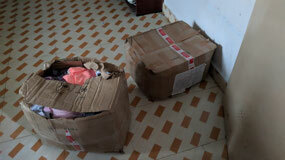 While visiting Joseph’s home, we saw three boxes of clothes that will be distributed to them very soon. He has also taught a few of the children how to sew or “stitch” as he put it. 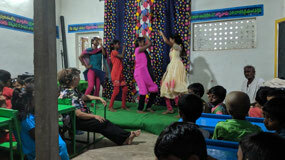 These are children age 10 to 14 years old. 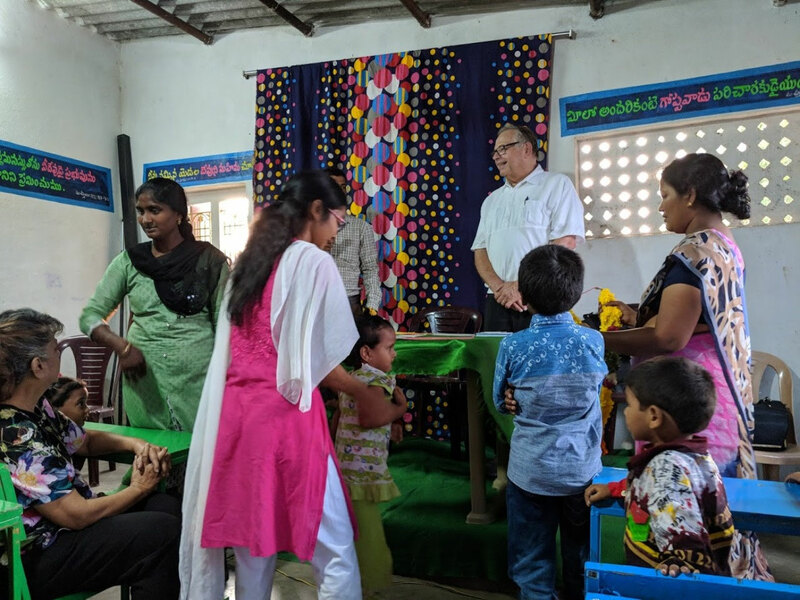 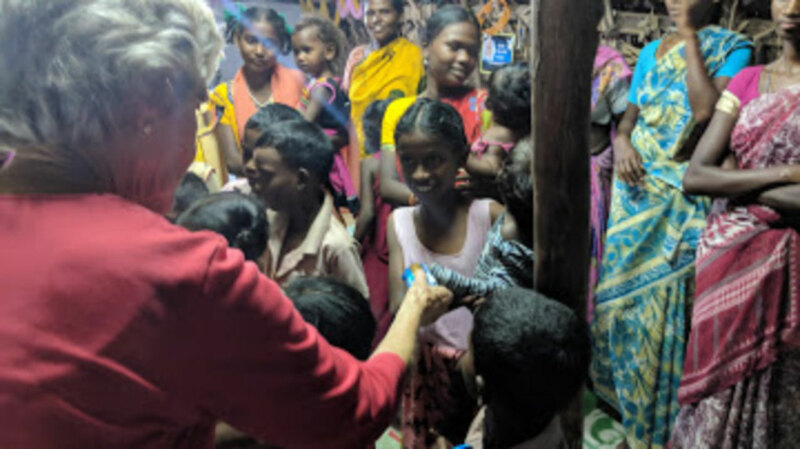 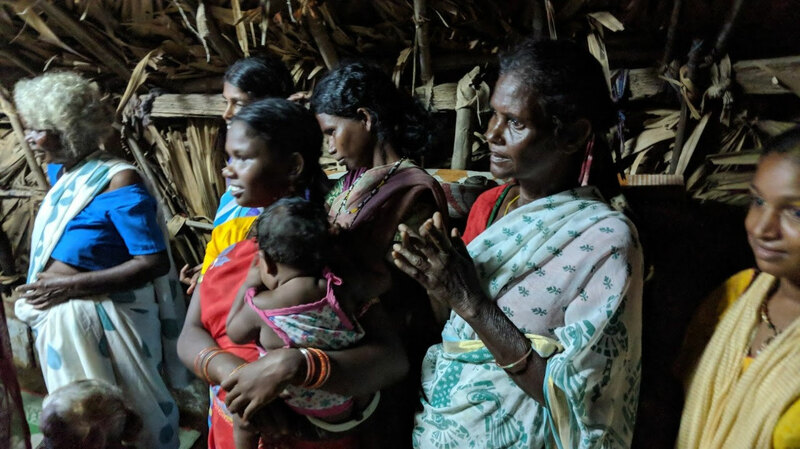 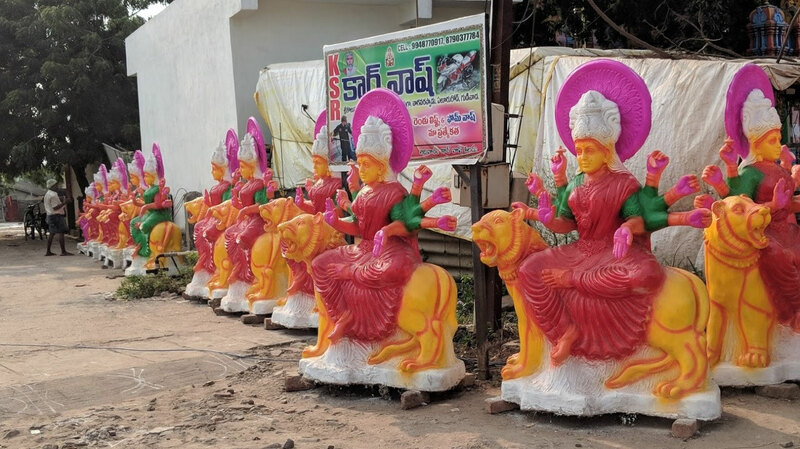 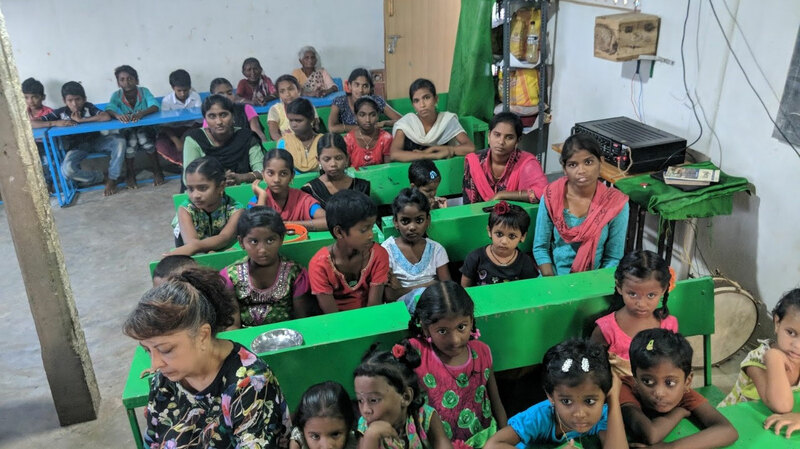 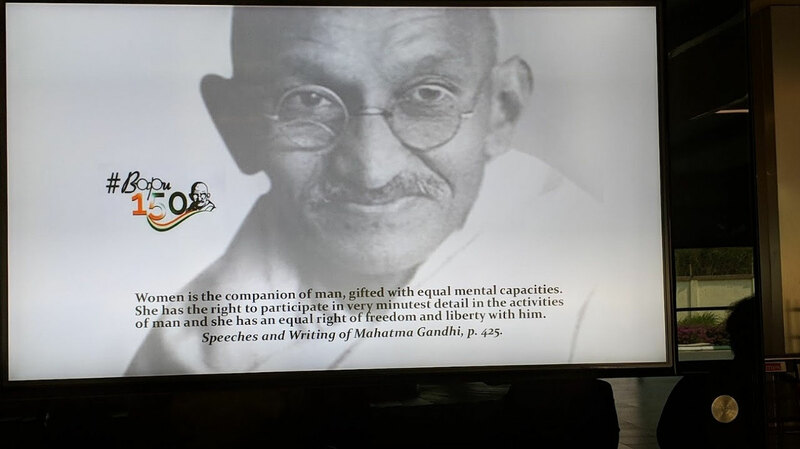 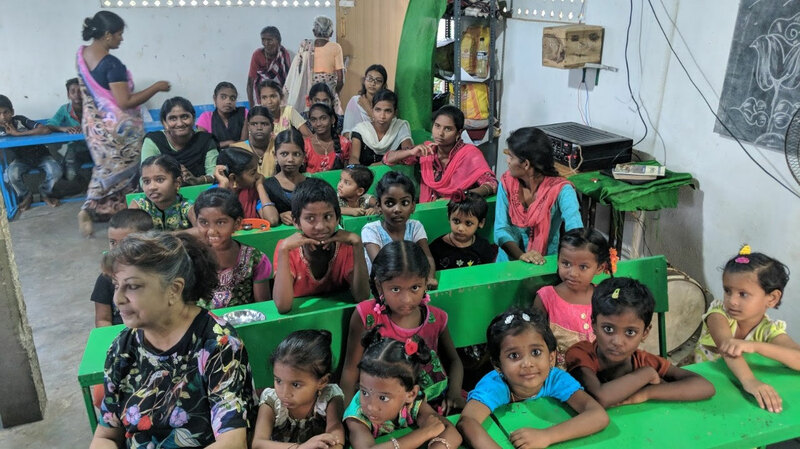 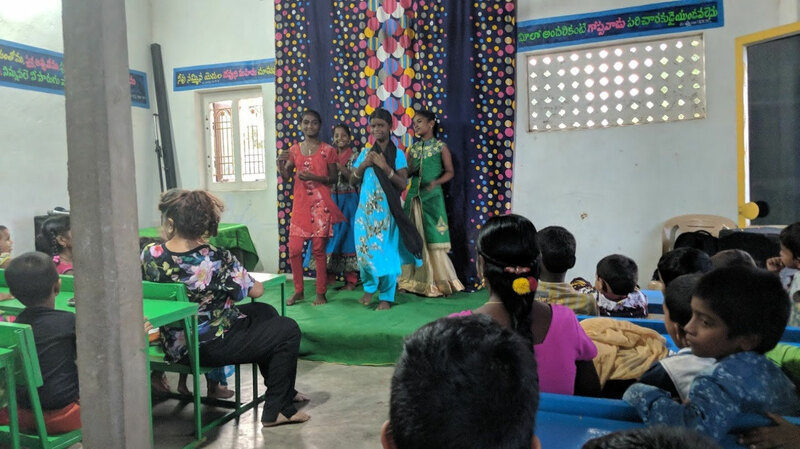 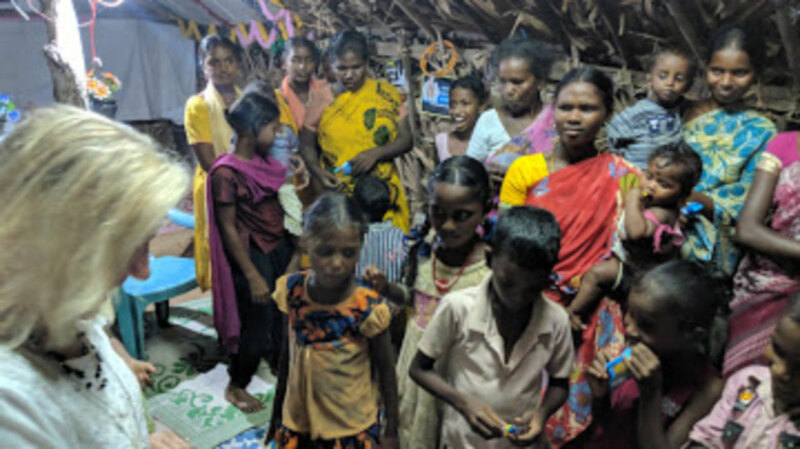 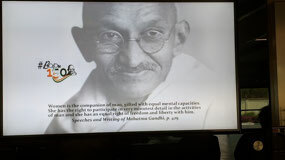 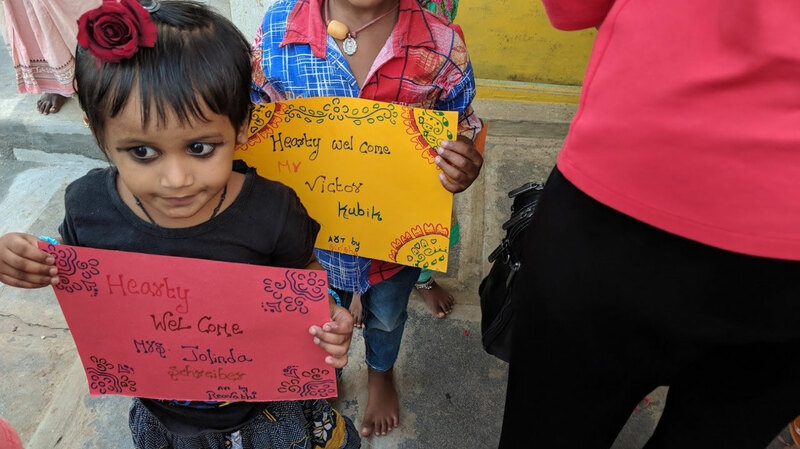 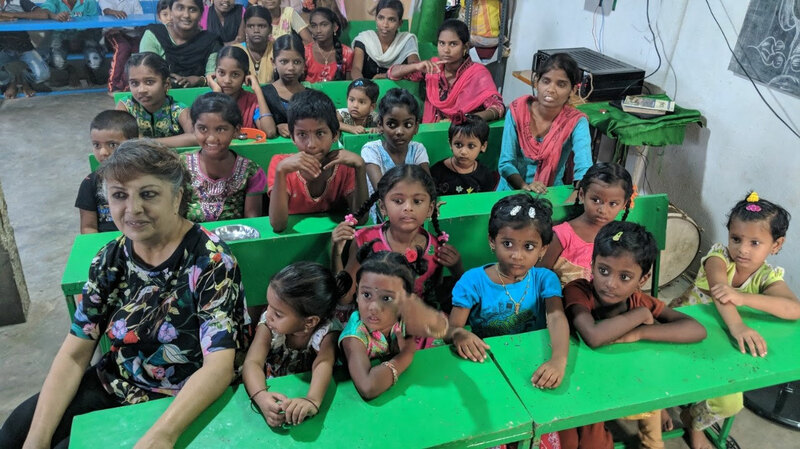 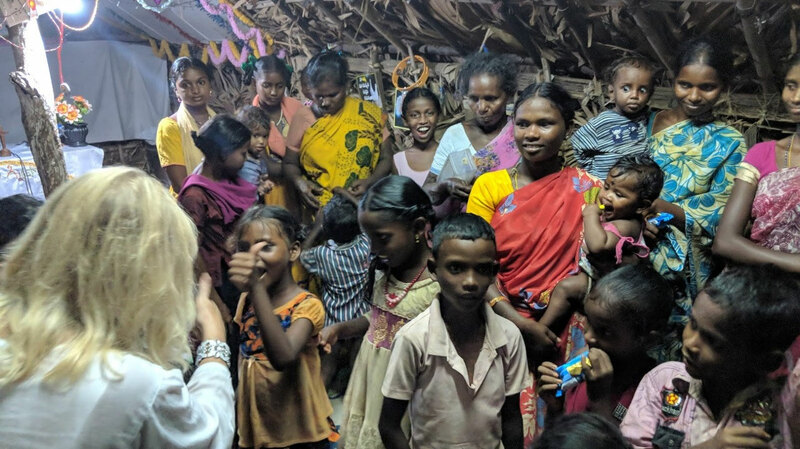 Joseph also spoke of another group of children who are from the “untouchable” caste—which are the lowest of society and prohibited from using public transportation. 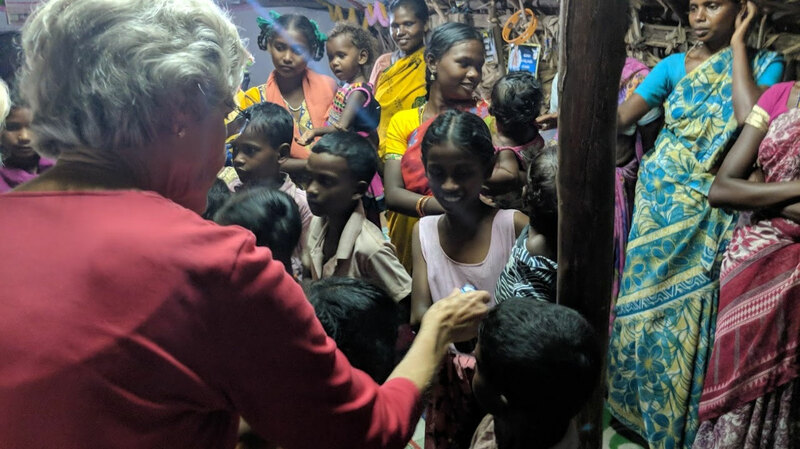 We left the Children’s Care Center to go visit with the “Untouchables” who live by the side of the road in huts on government land. These appeared to be cast away children whose parents were drunkards, neglectful or deceased. 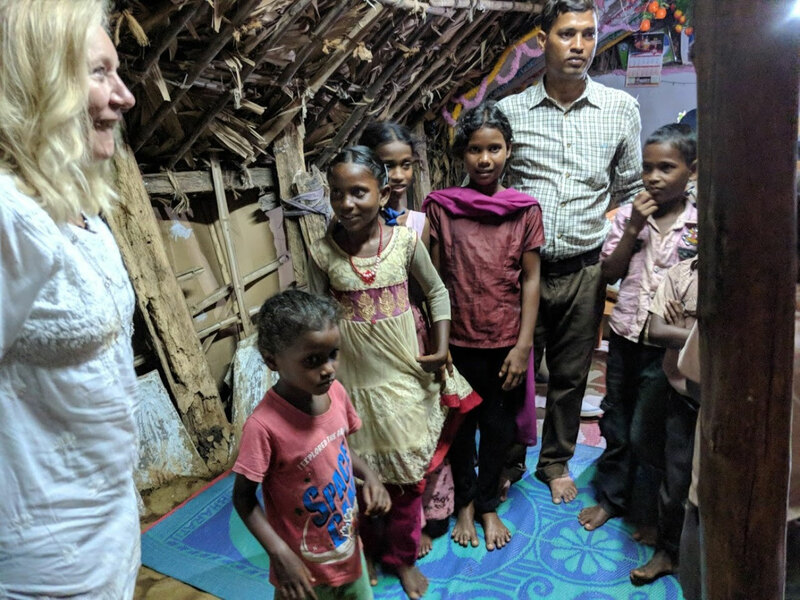 The adult members of the household had to make a living off anything they could find and often ate rats, frogs and snakes. 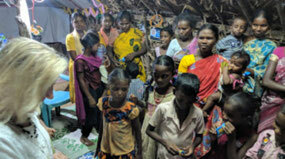 They have no beds or blankets in the huts and the children have little or no education. Joseph visits the village to minister to the families and brings food. 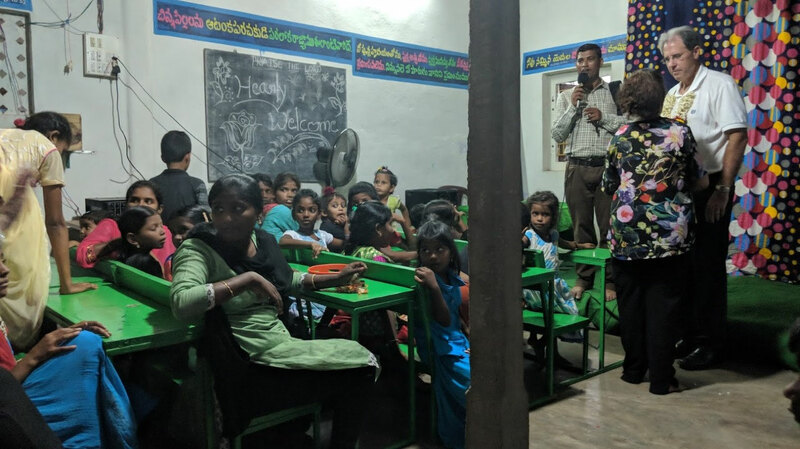 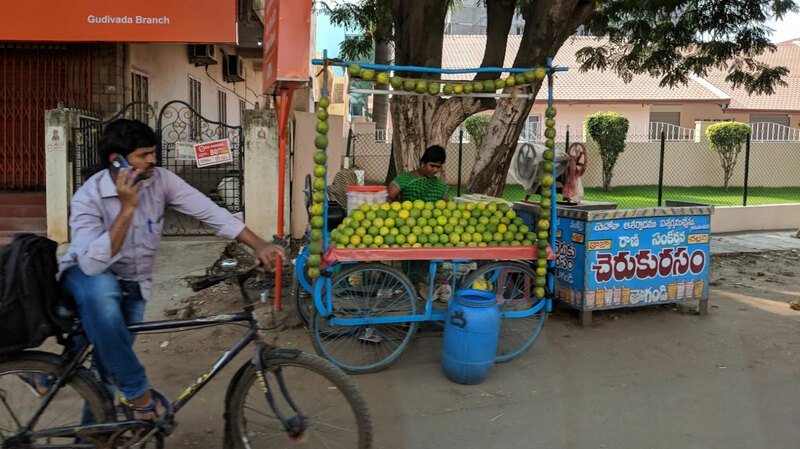 He hopes to build a small center and hire one teacher so they can at least get the minimum education. 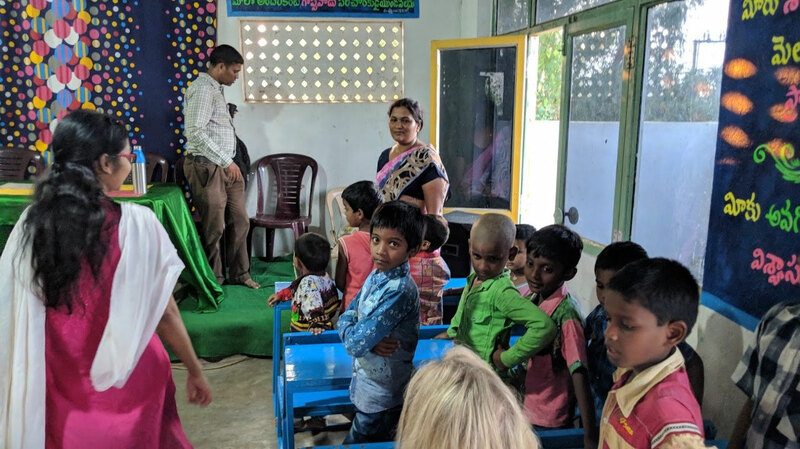 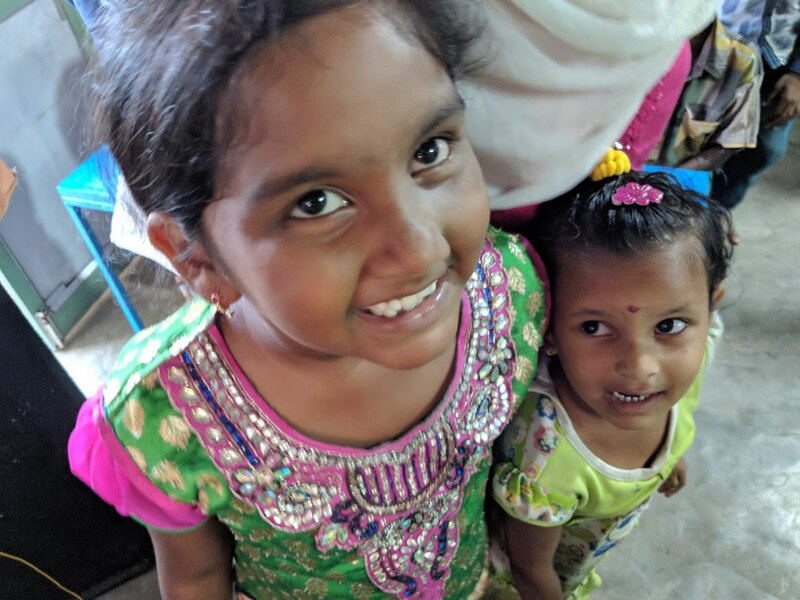 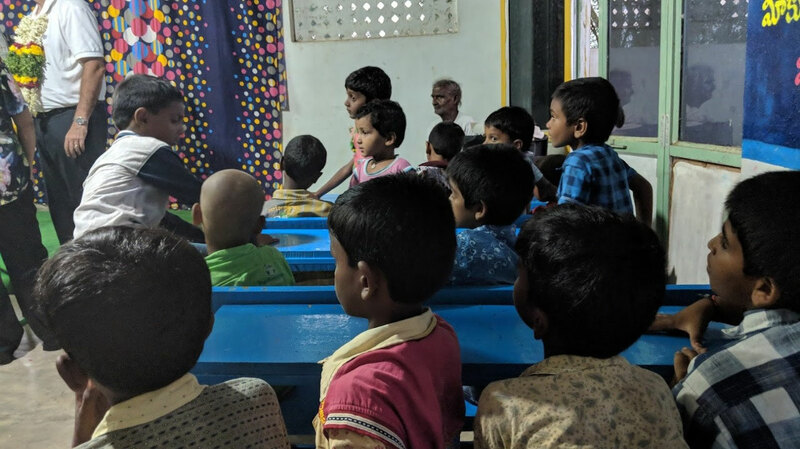 Last year during the two cold winter months, the UCG Canada congregation sent sweaters to these little children and the UCG Southern Minnesota congregation sent funds for Joseph to buy blankets. 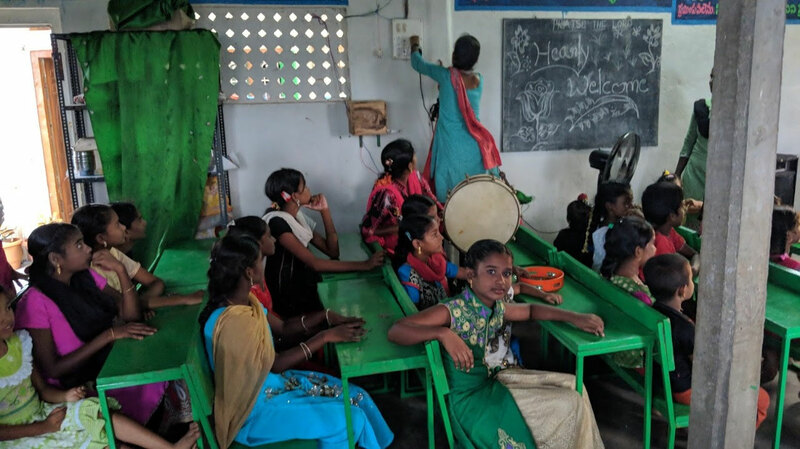 One of the names given to these children was the "Ventrapragada S.T. Tribal children." 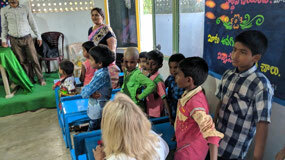 There were 35 of them here. Some of their mothers were present when we visited. 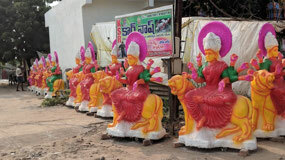 We did notice an evident lacking of men in this poor culture. These children and families need food, staples of rice, etc. 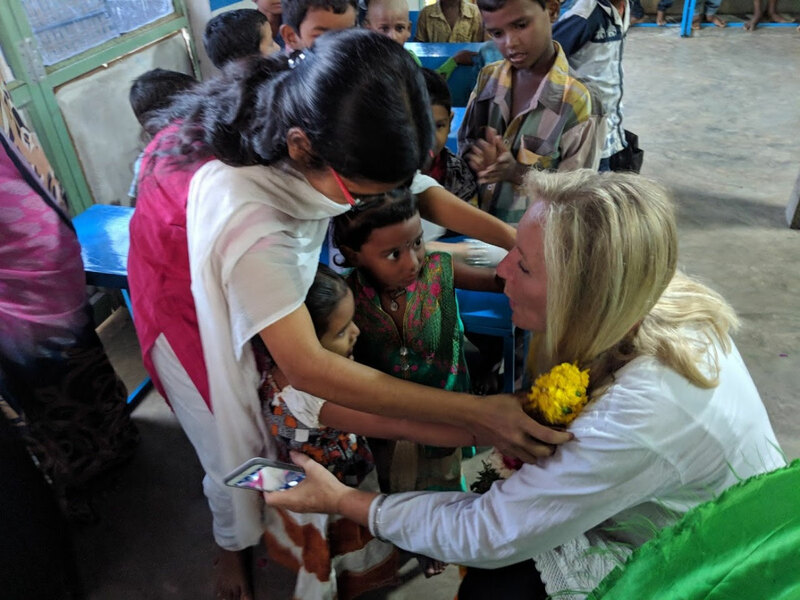 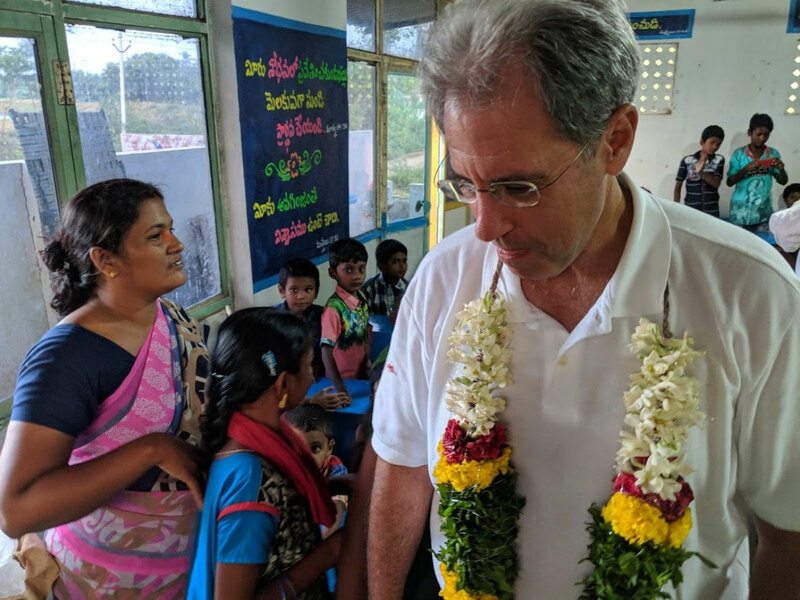 The children sang a song for us in the local language of Telegu and then David and I publicly prayed for many of them before leaving. 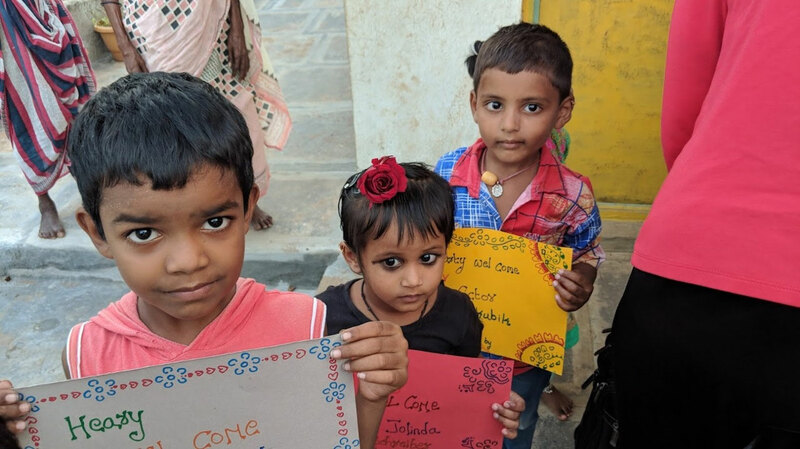 They requested prayers for maladies ranging from fever, body pain, backaches, fertility and to be able to study and learn. 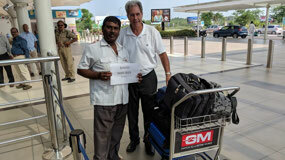 After all this our driver drove us home after a very long day. 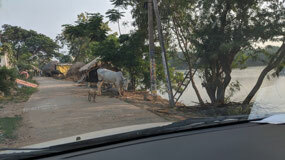 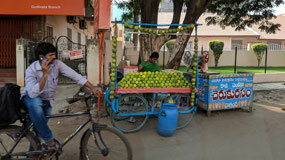 It was about an hour's drive into the center of town in the controlled chaos (at least to me) of Indian traffic. 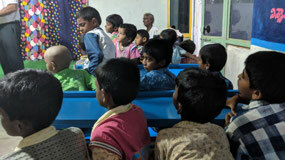 Is it possible to send some of the supplies needed to help the children. 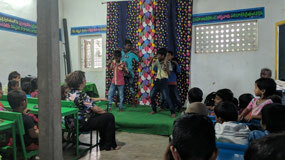 I would like to help with what I can. 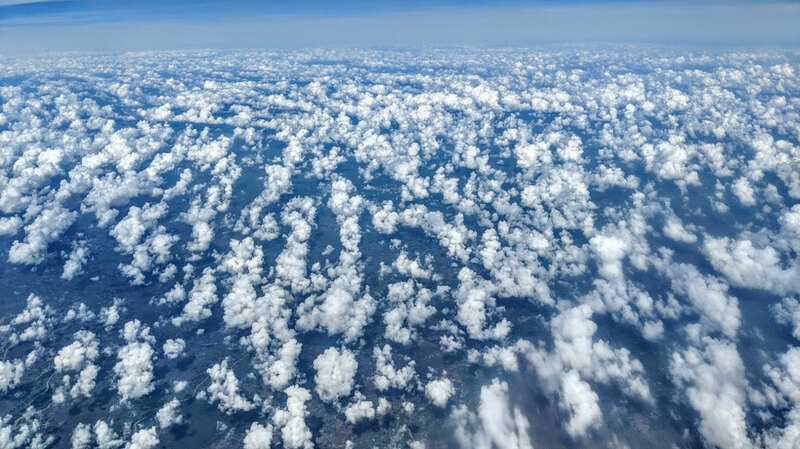 It's possible to do so through LifeNets that will get it there.